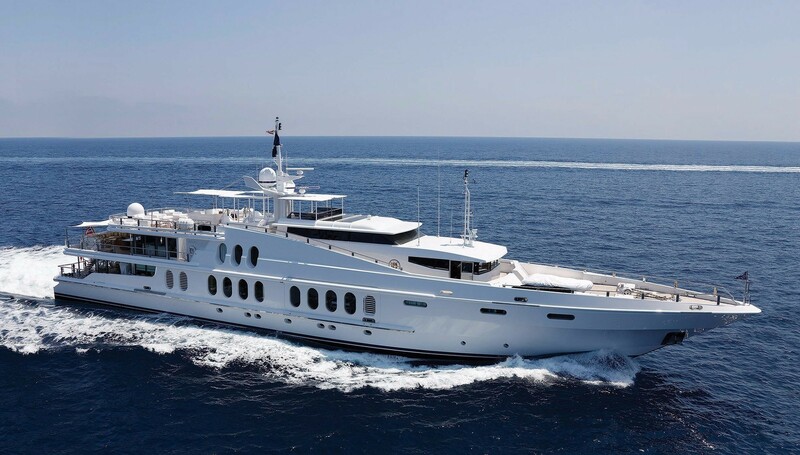 Superyacht OCEANA is a 55 metre (180ft) Oceanfast motor yacht which was originally launched in 1991 and has since been refitted in 2008/2009 to a Bannenberg interior design. 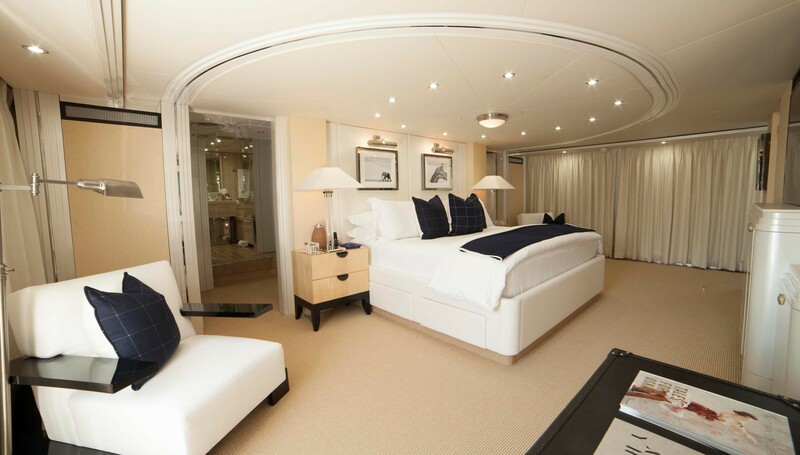 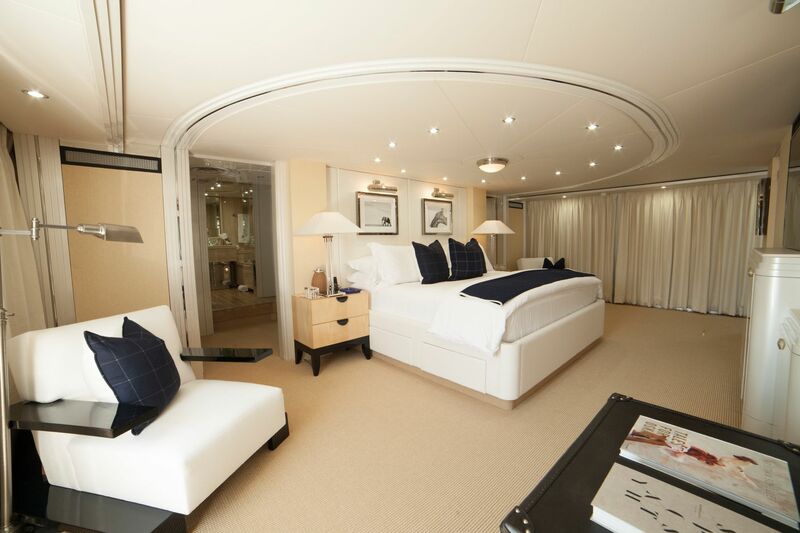 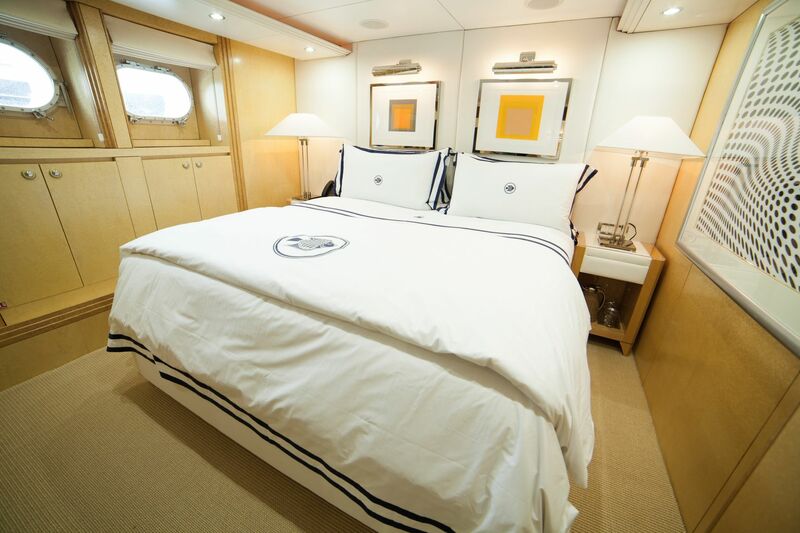 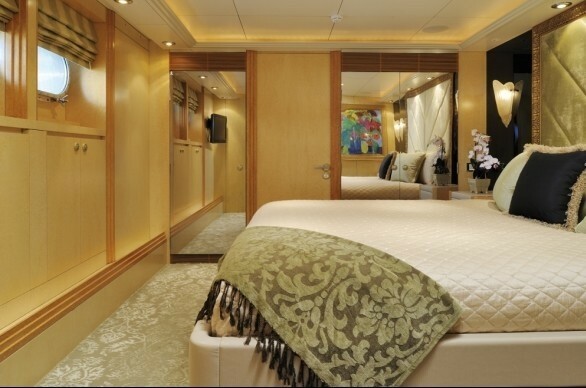 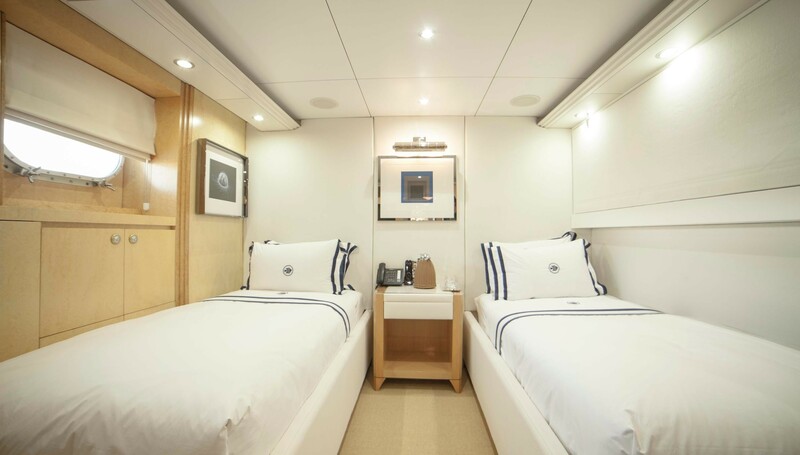 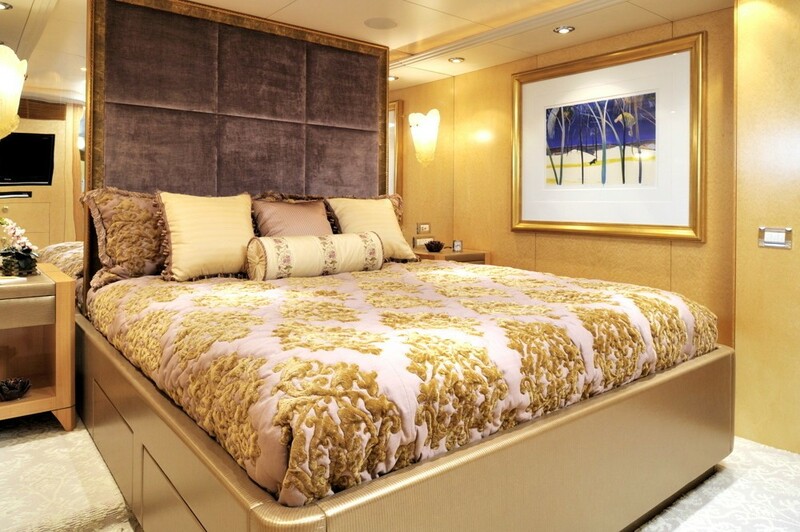 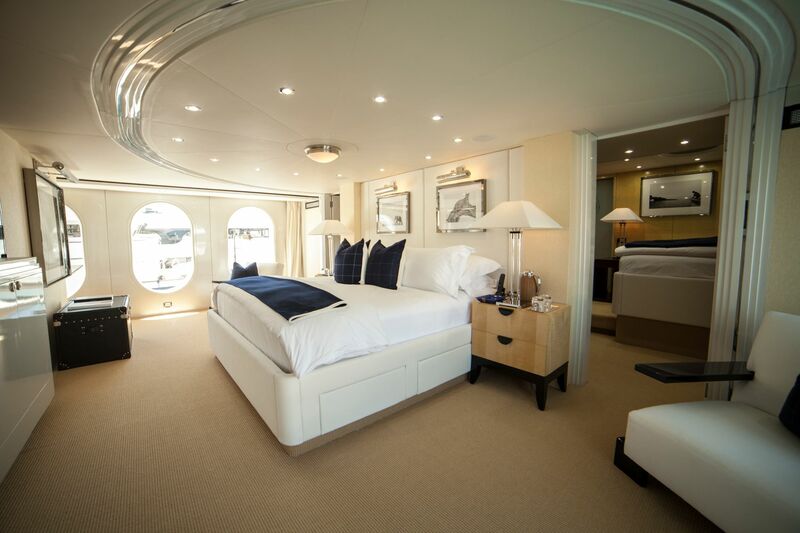 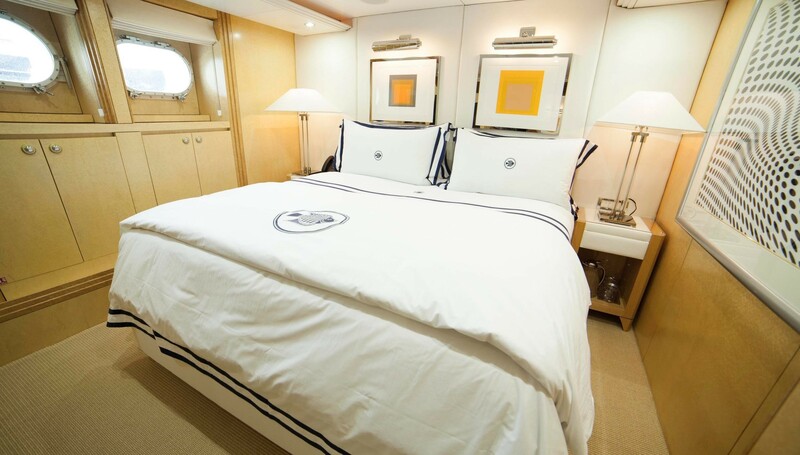 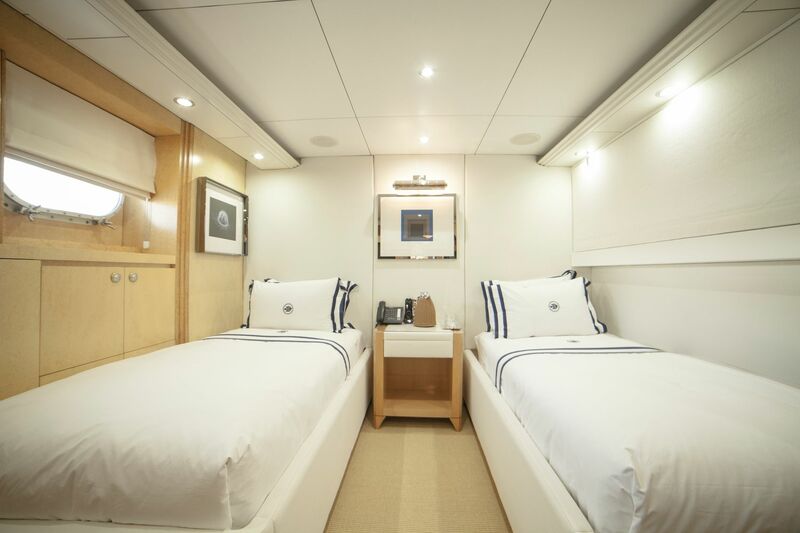 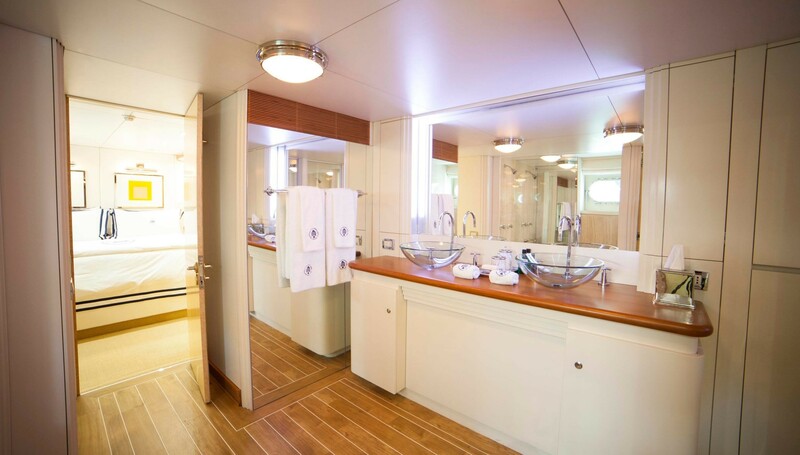 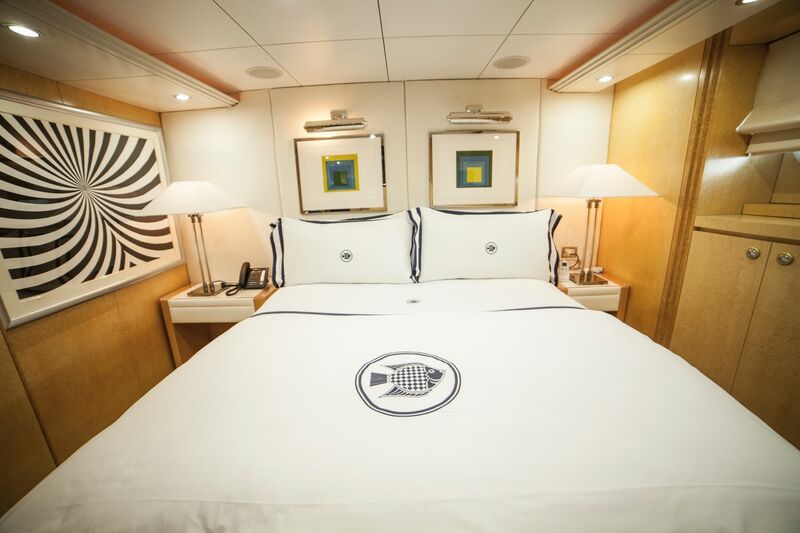 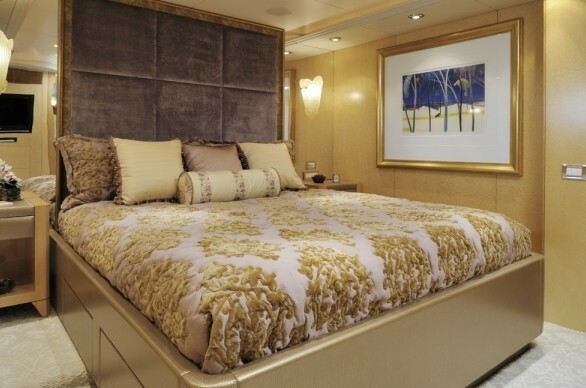 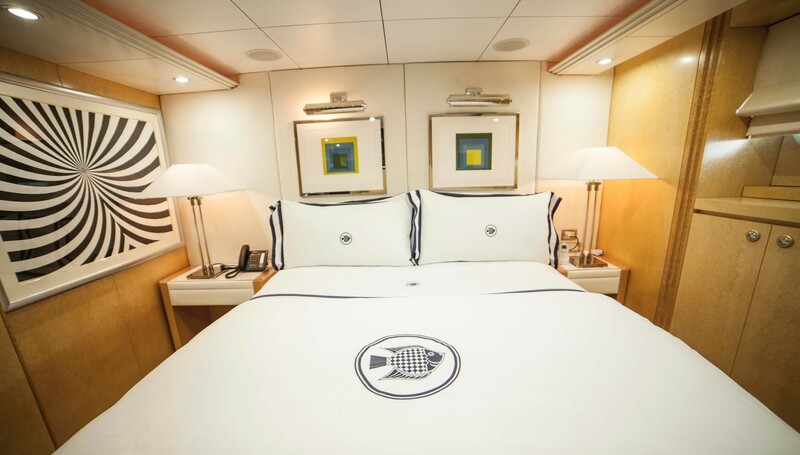 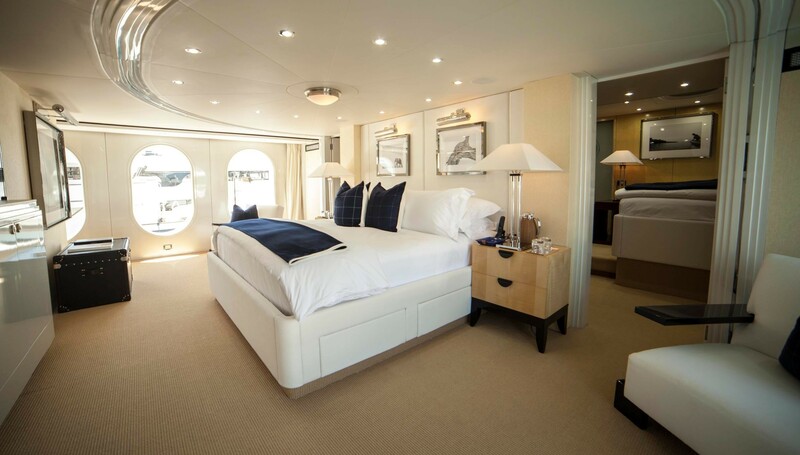 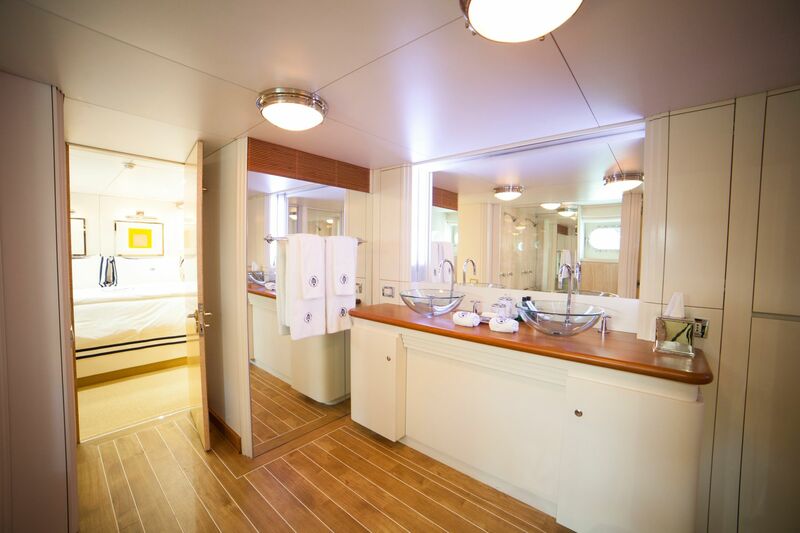 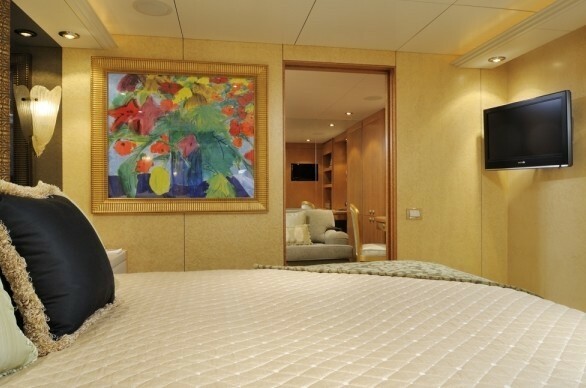 This luxury yacht is able to accommodate her maximum of 10 charter guests overnight (and 12 whilst day cruising) in 5 stateroom cabins, in a 4 double and one twin bed layout. 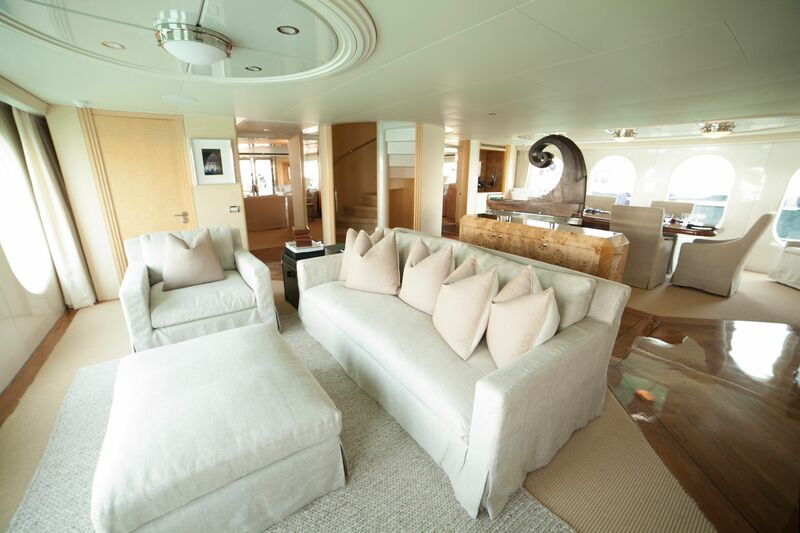 Motor yacht OCEANA (previously called Obsession) offers highlights which include an amazing sundeck with spa pool spa pool, ample alfresco dining and relaxing, a recently refitted luxury interior (2008), a 20 knot max speed, a fantastic professional crew and at anchor zero speed stabilisers. 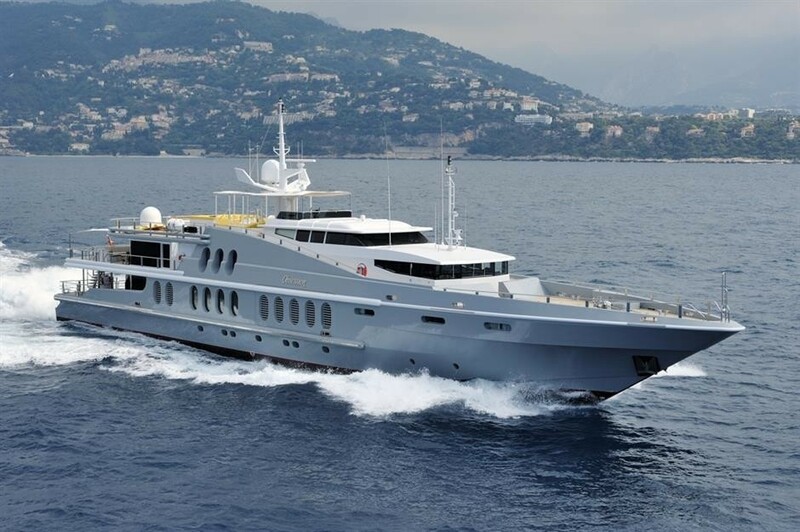 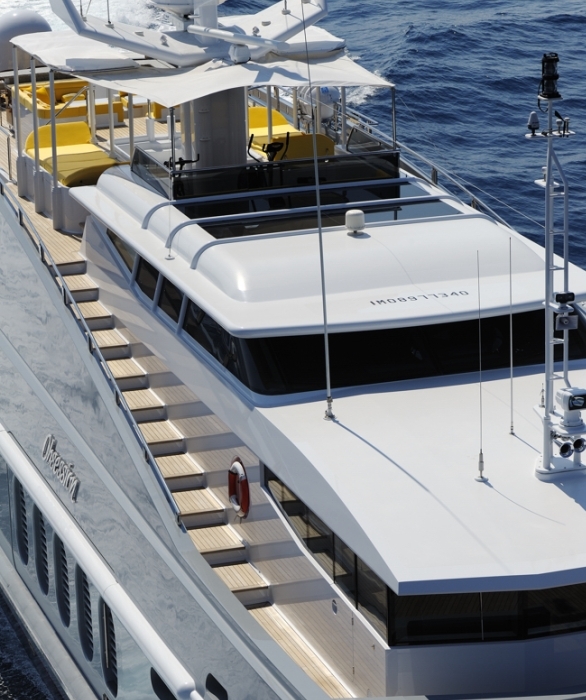 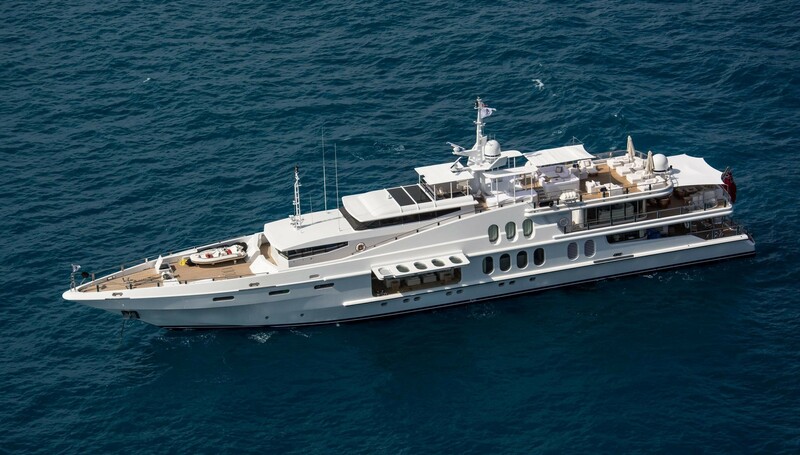 This Oceanfast superyacht is the result of a fantastic Bannenberg Design and was built in 1991. 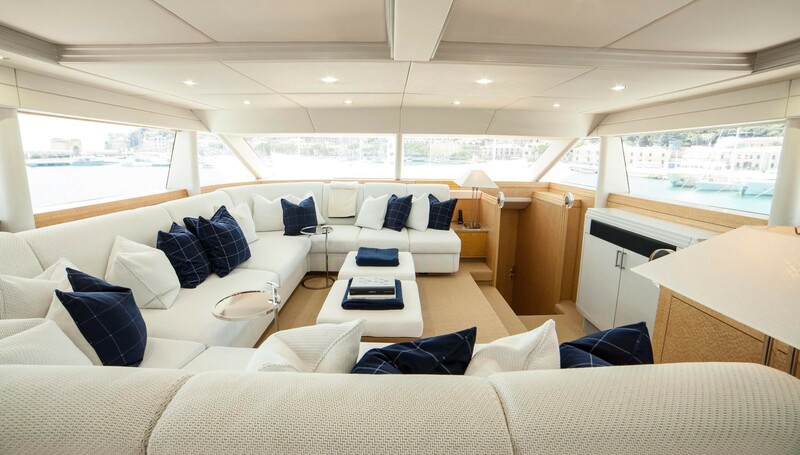 Her current owner refitted her completely over the winter 2008/2009 which gives her an "as new" condition and makes her ideal for a yacht charter vacation. 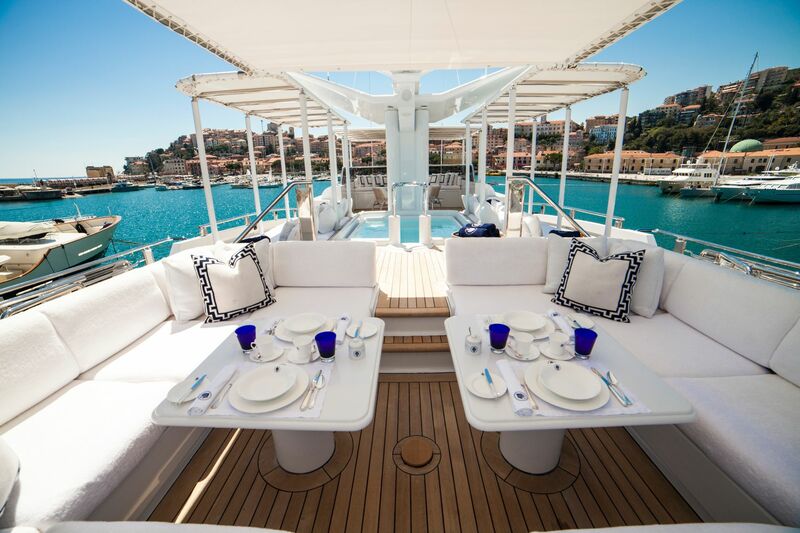 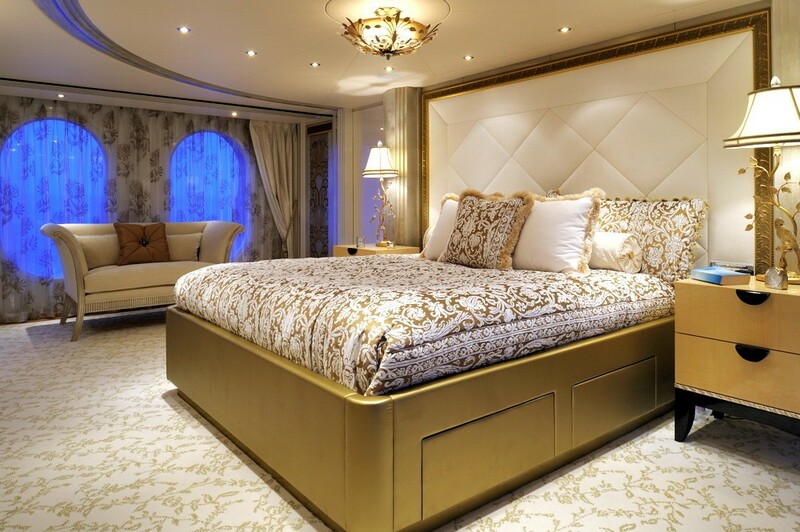 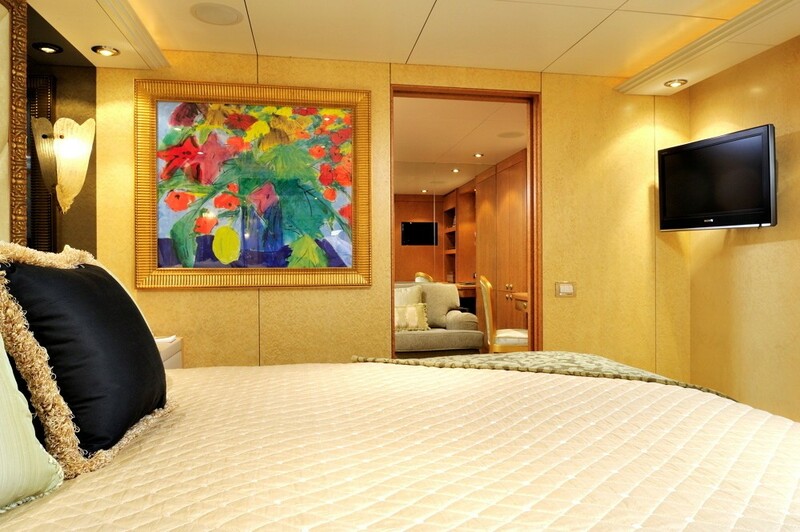 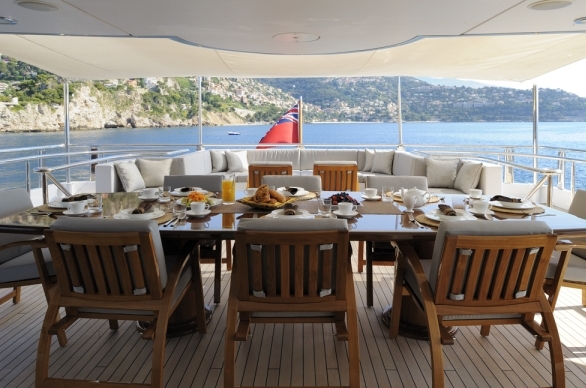 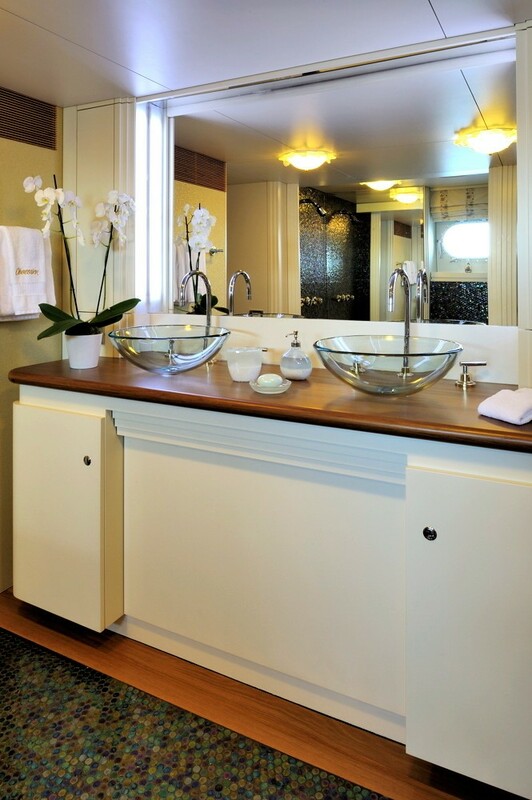 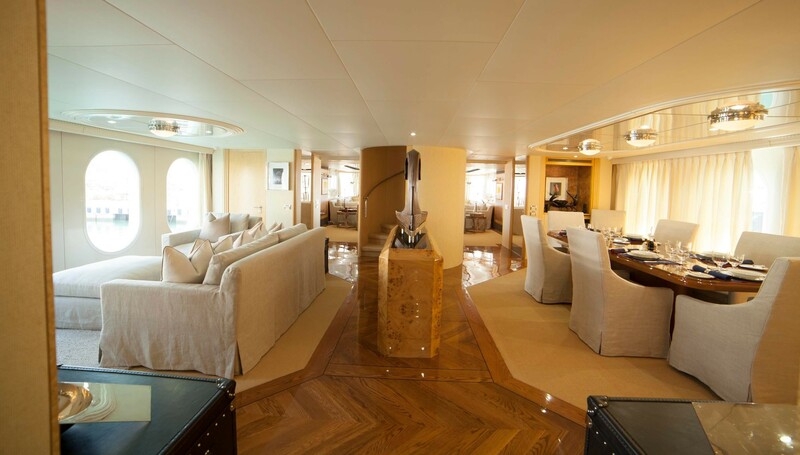 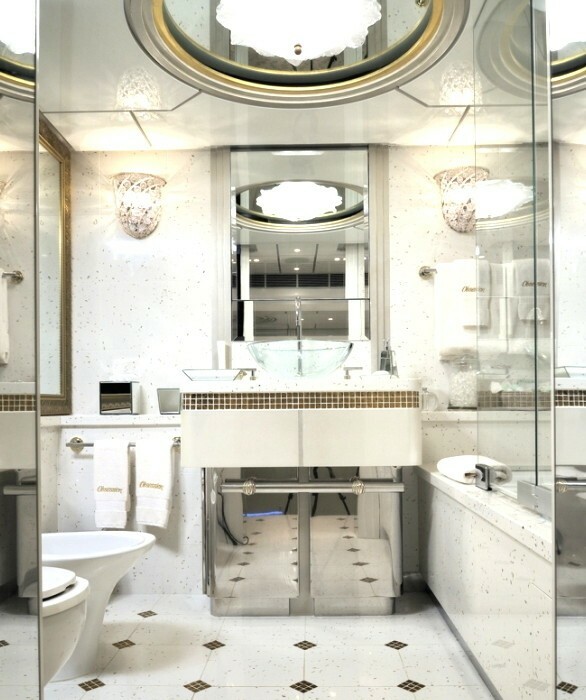 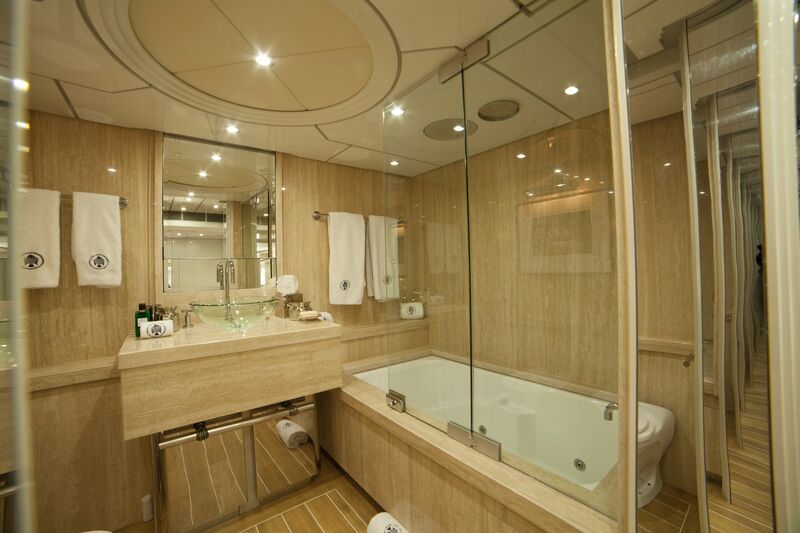 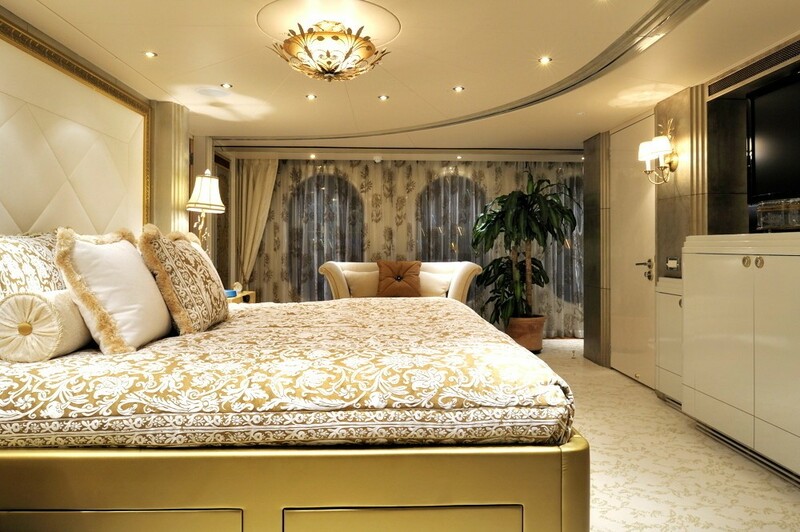 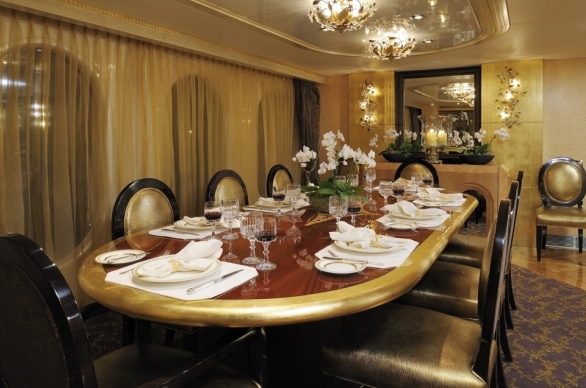 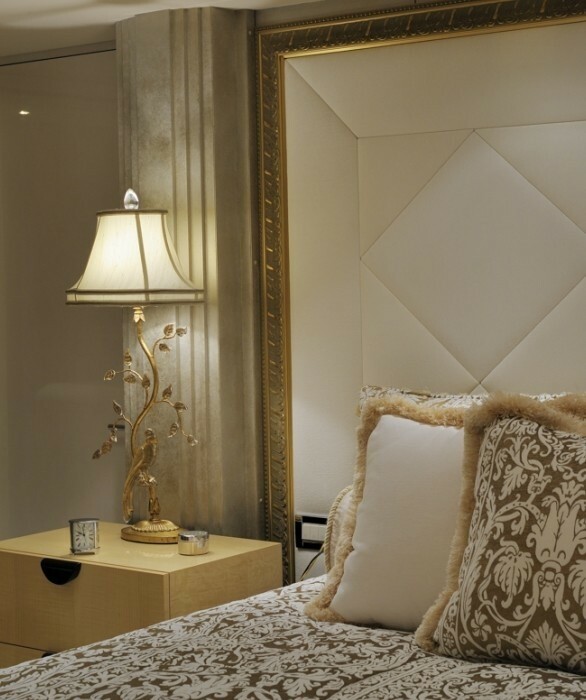 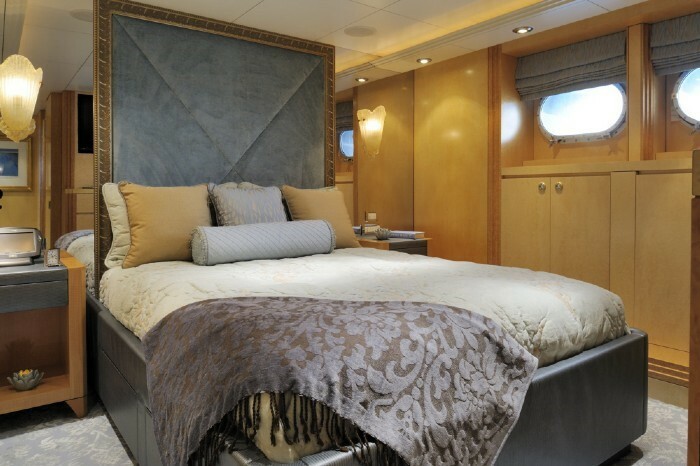 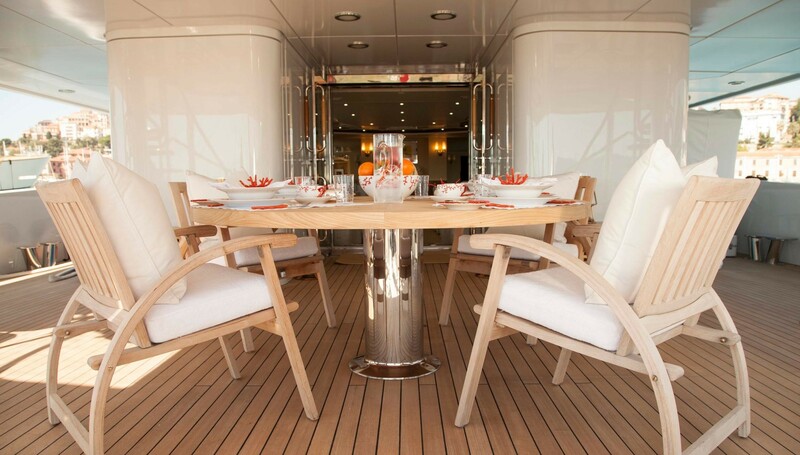 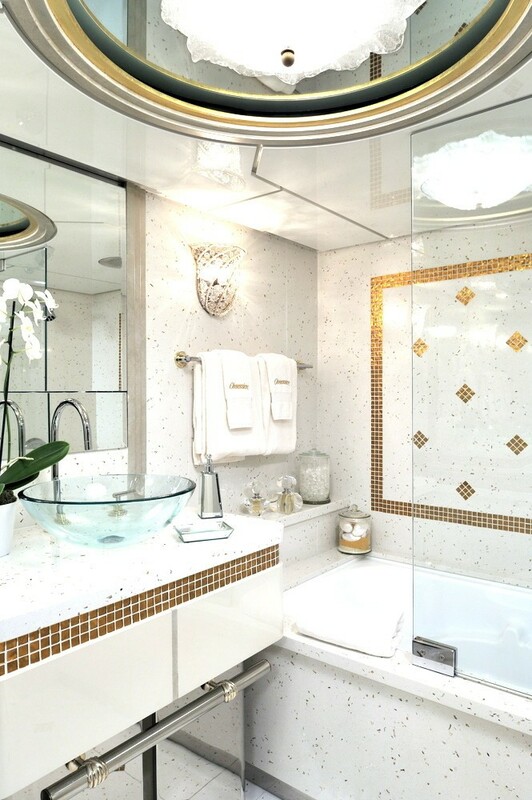 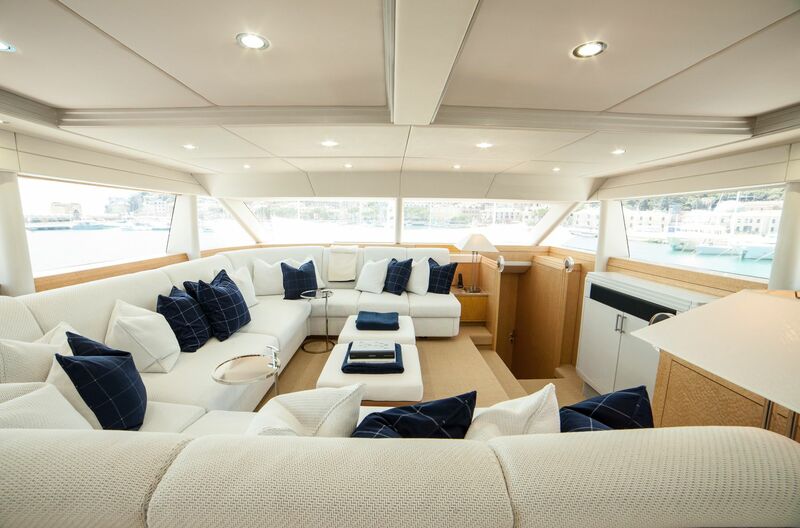 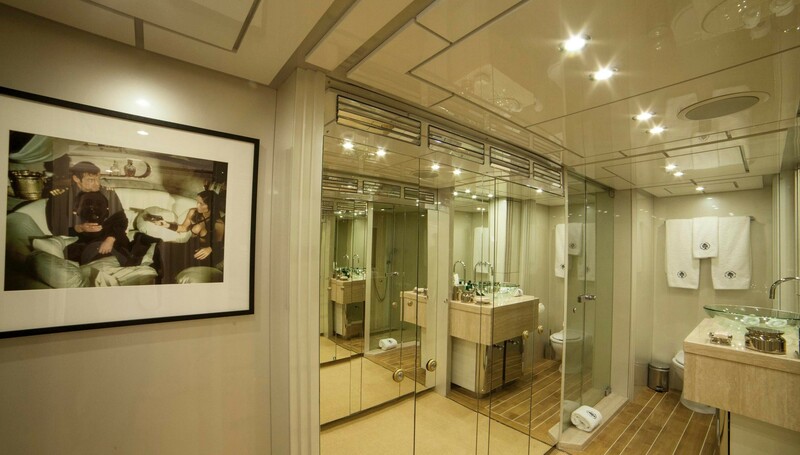 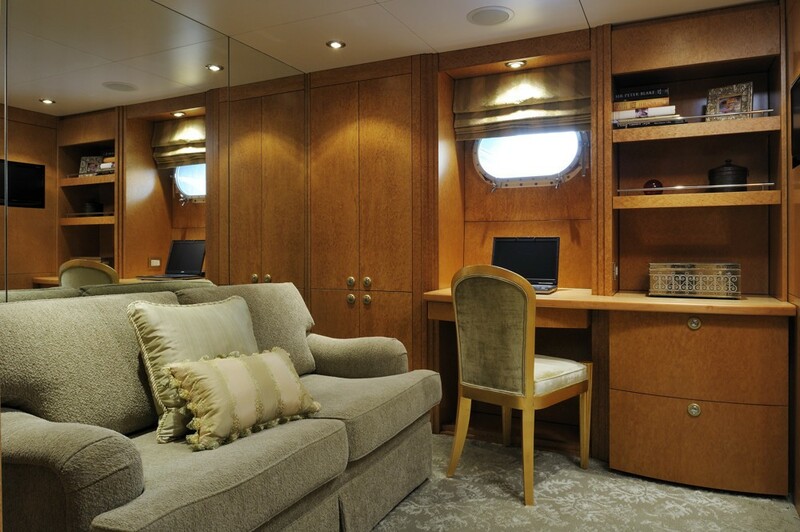 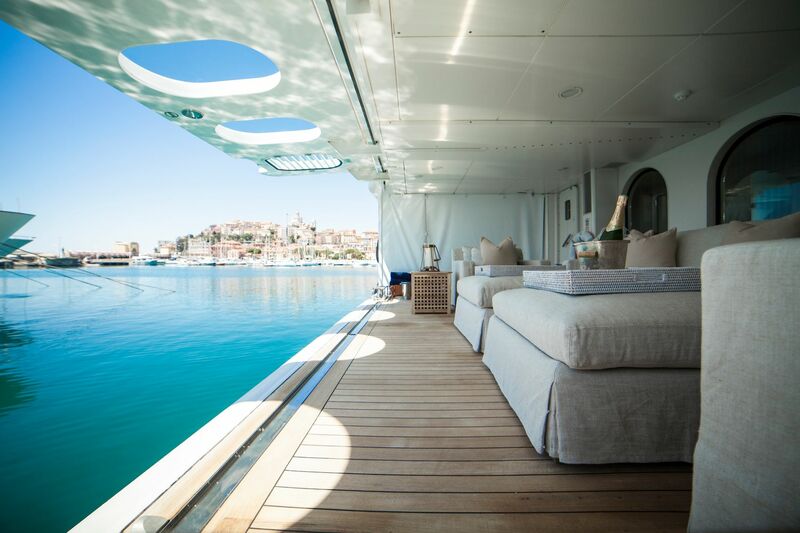 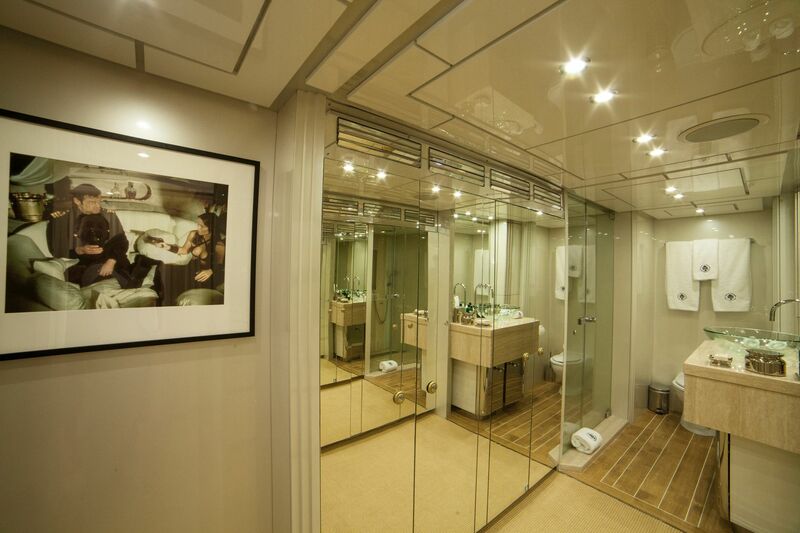 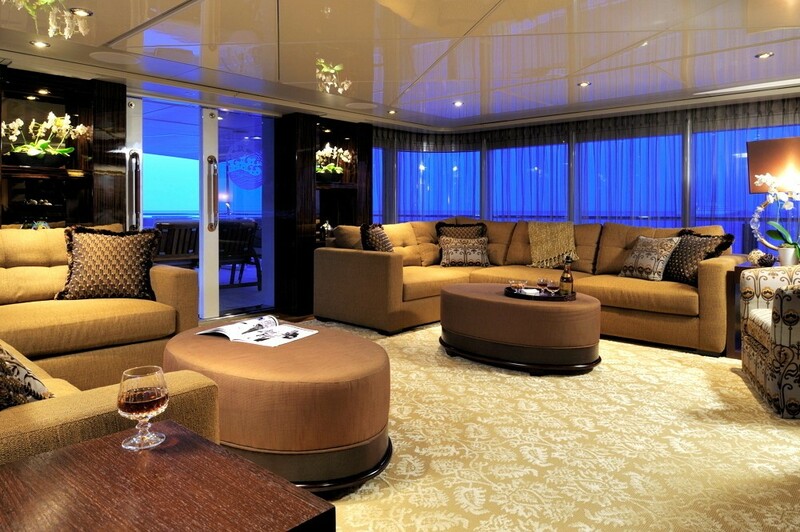 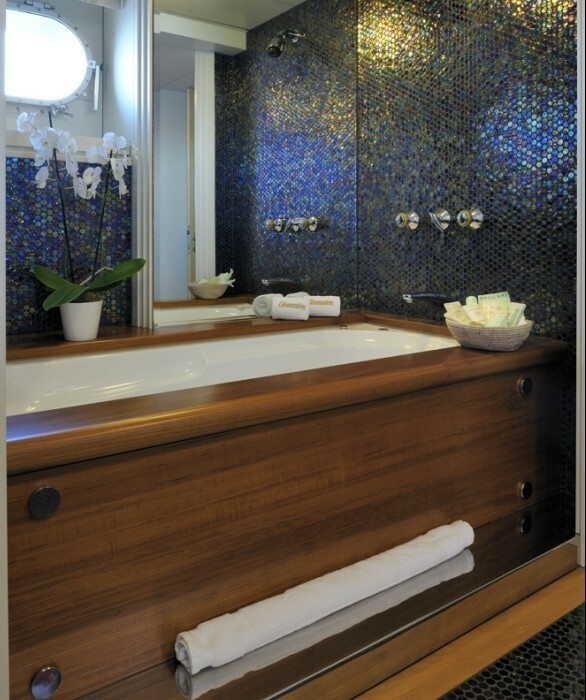 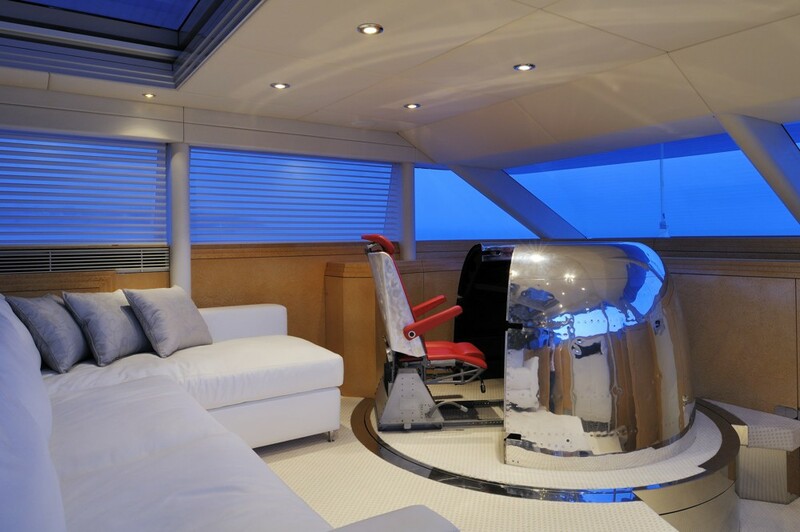 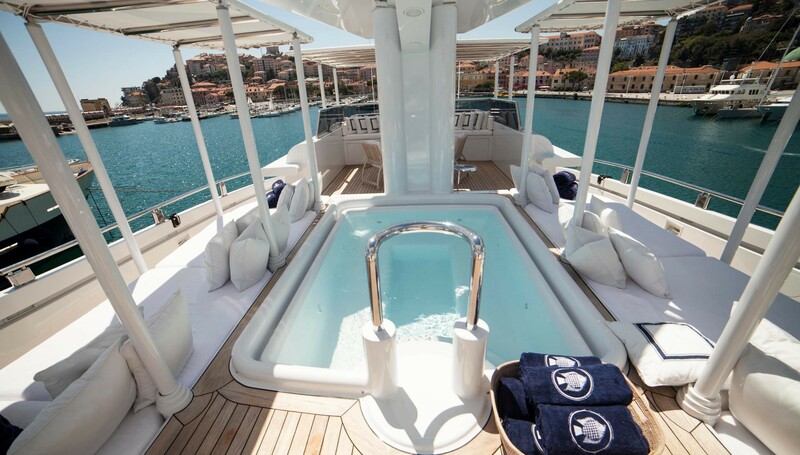 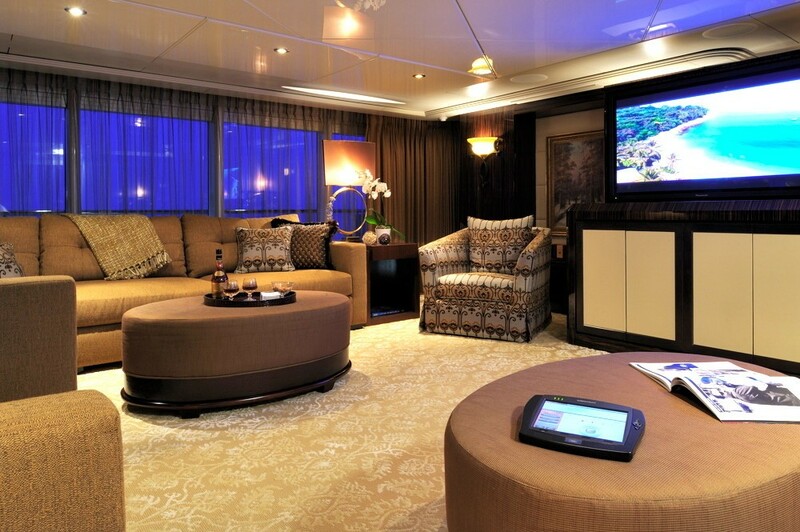 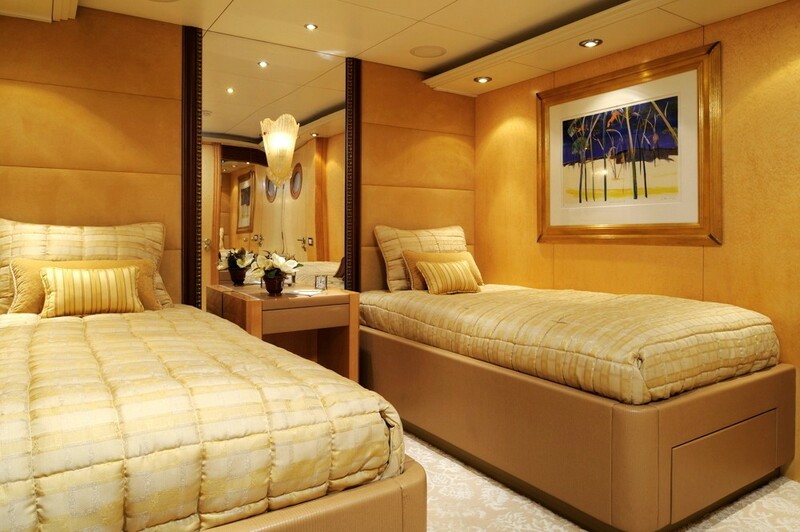 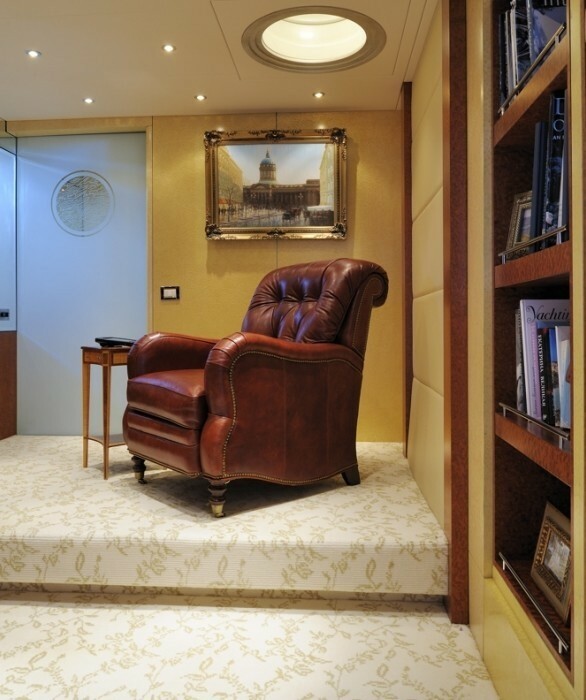 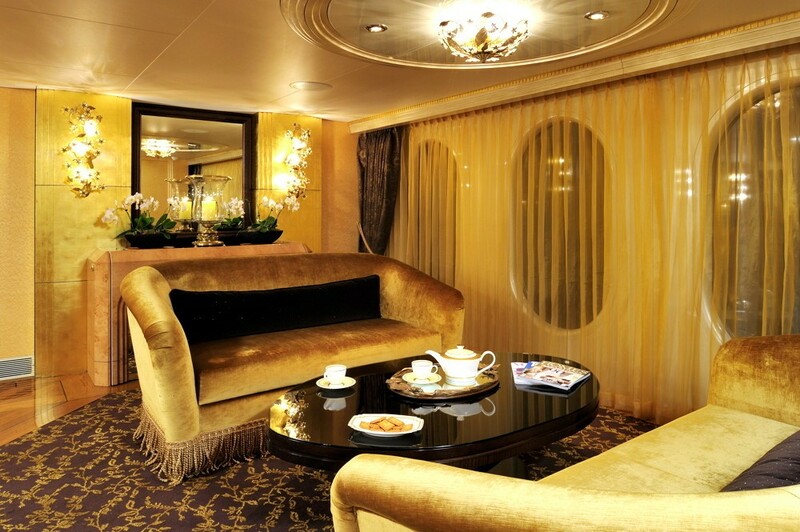 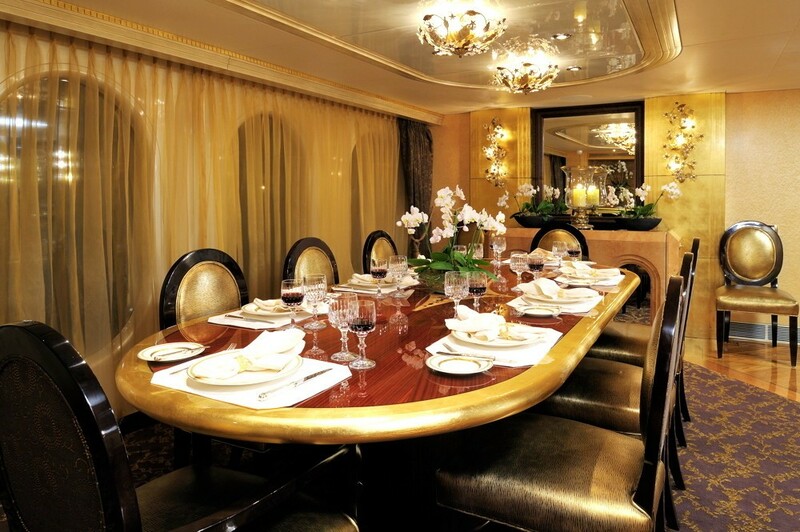 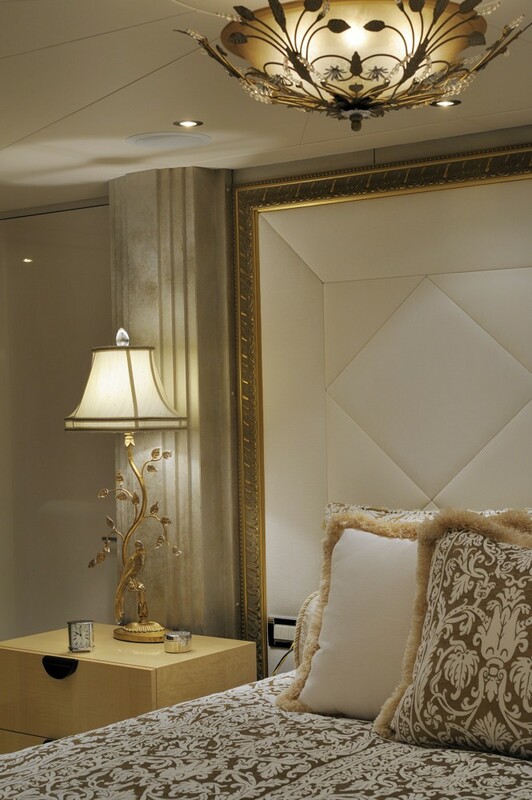 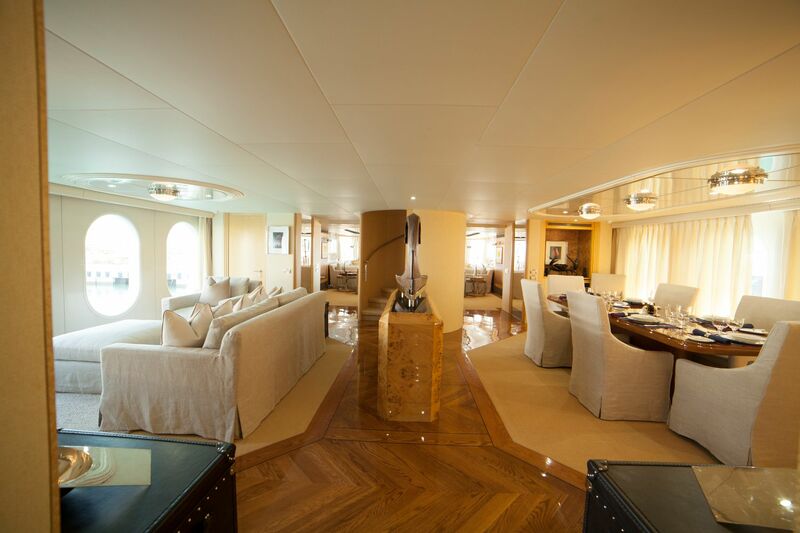 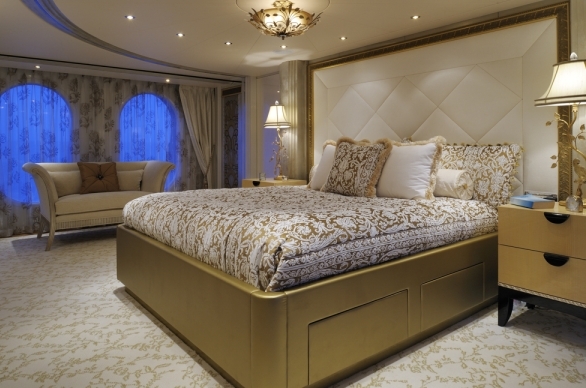 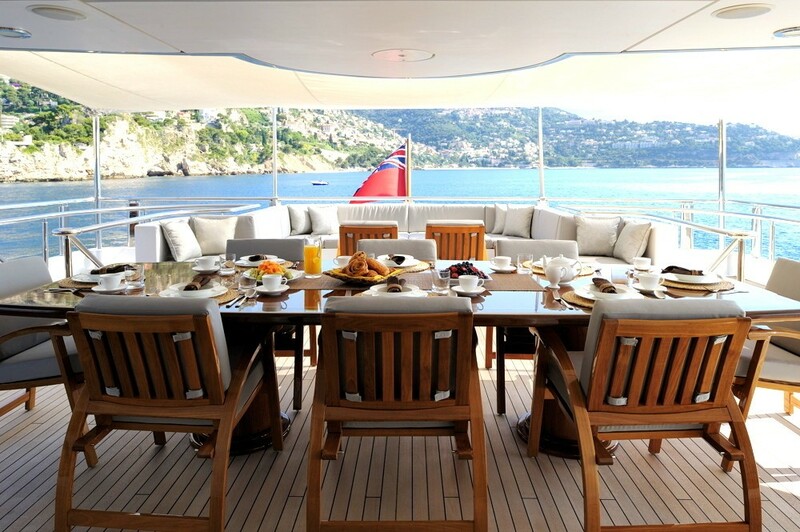 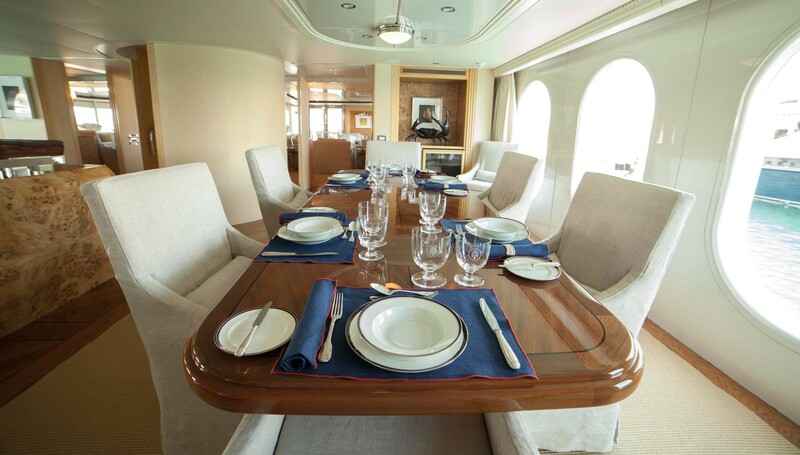 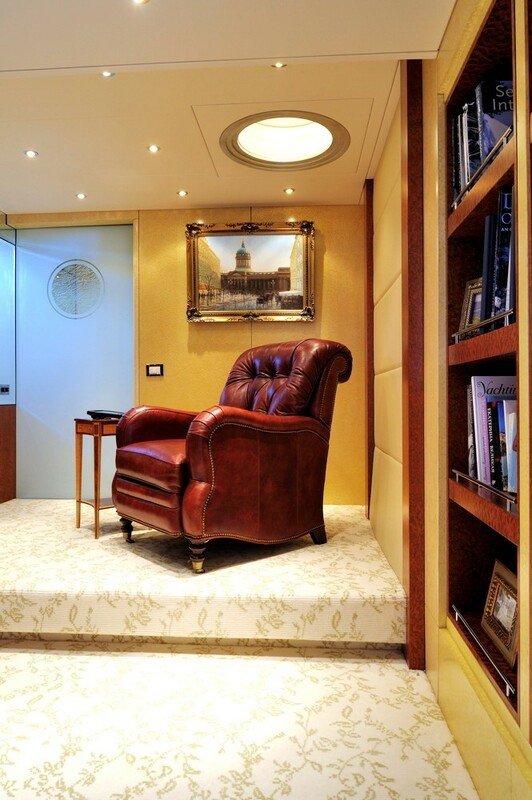 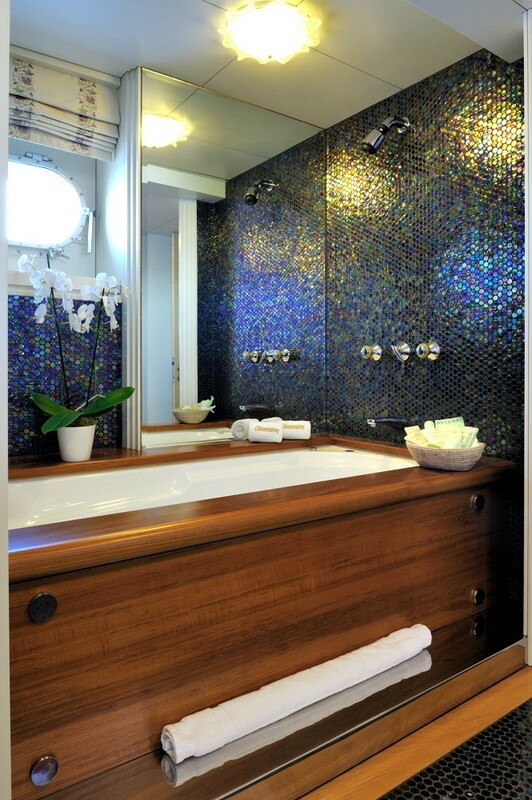 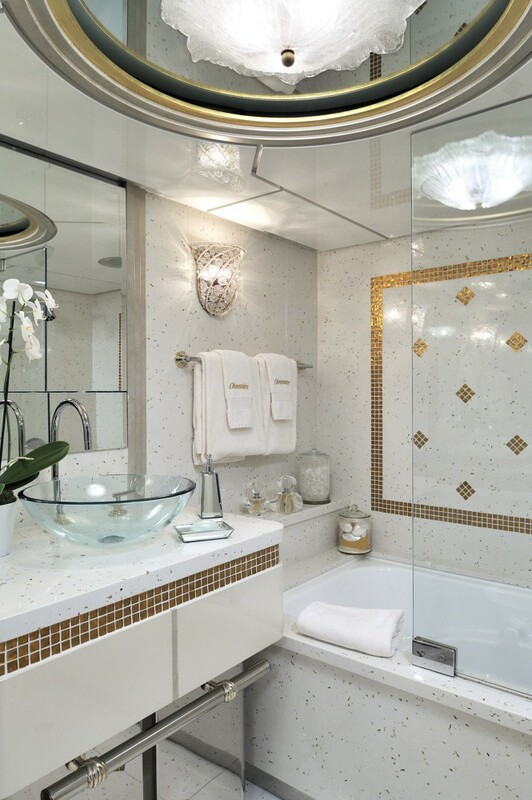 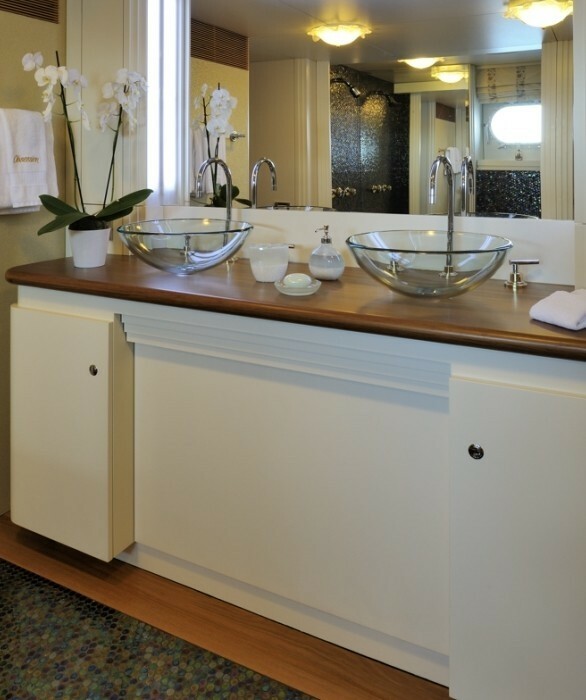 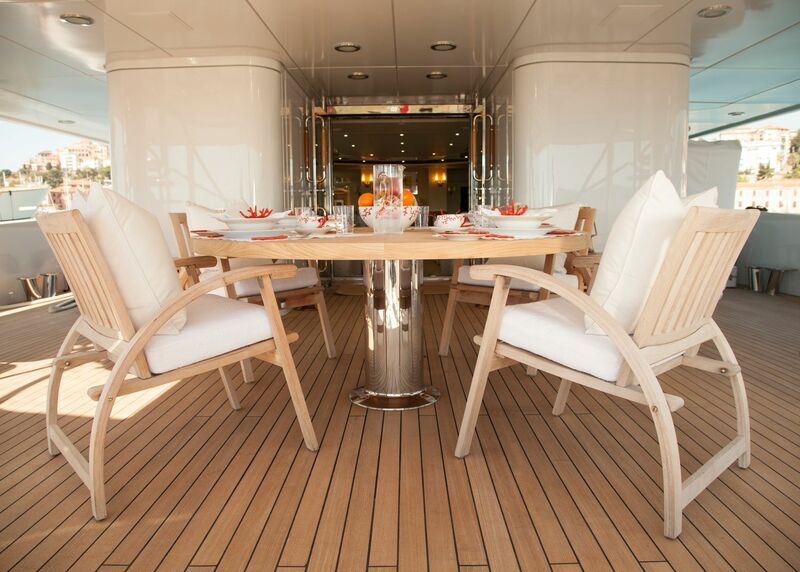 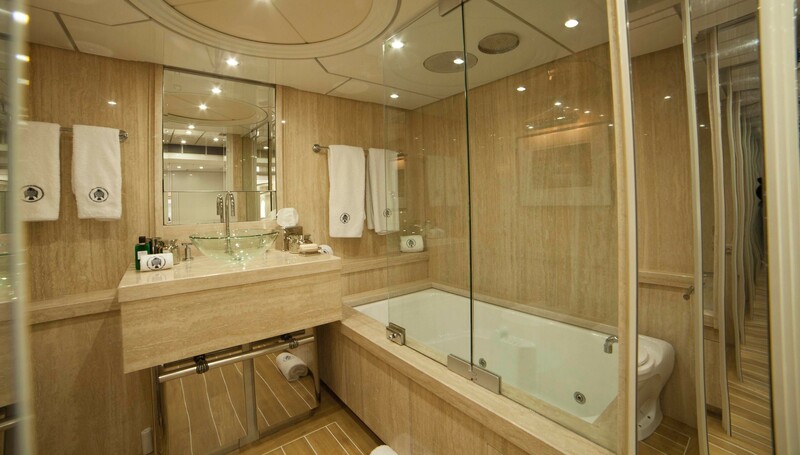 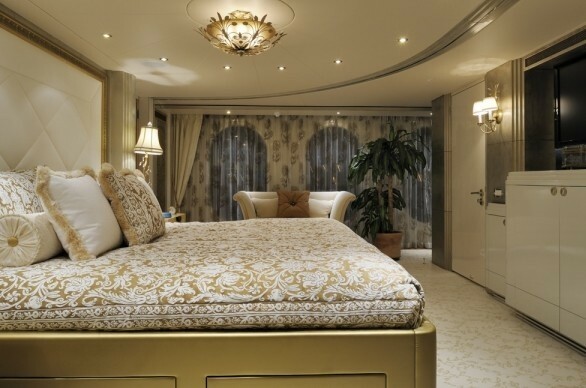 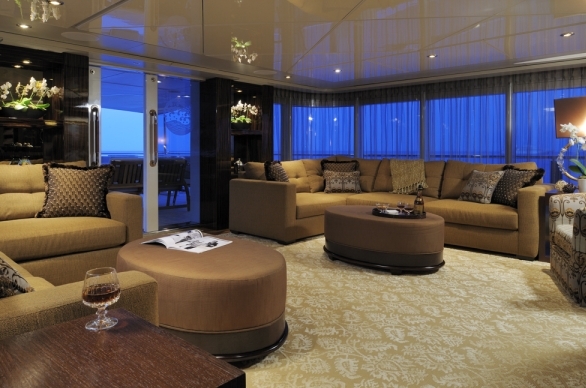 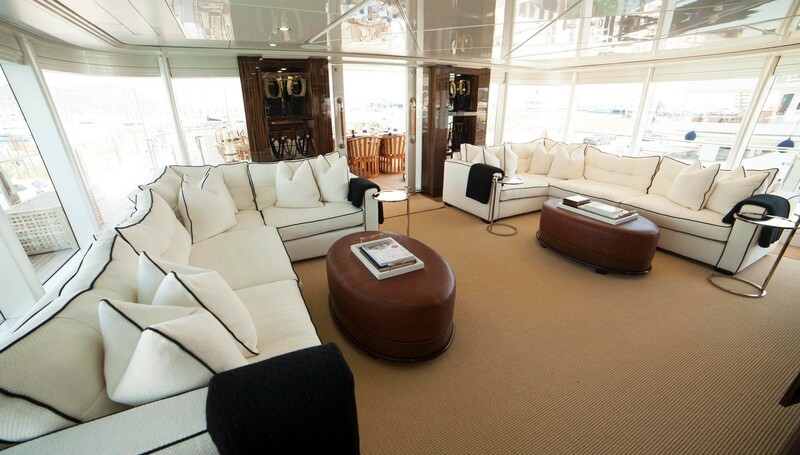 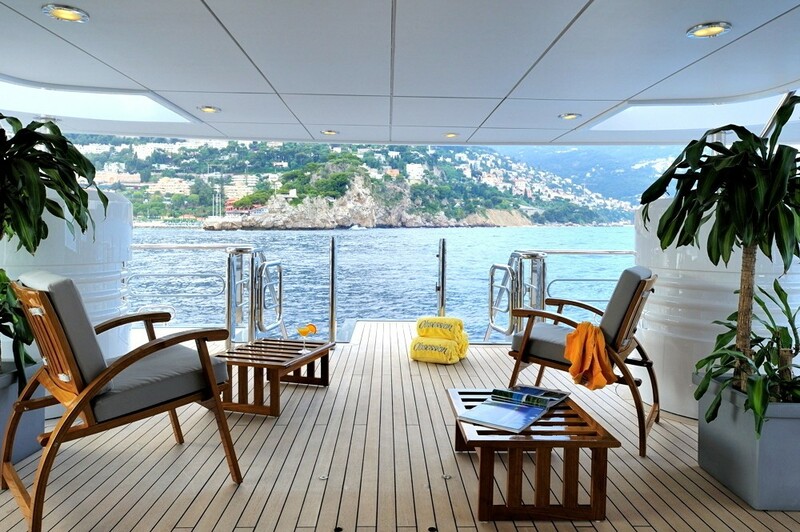 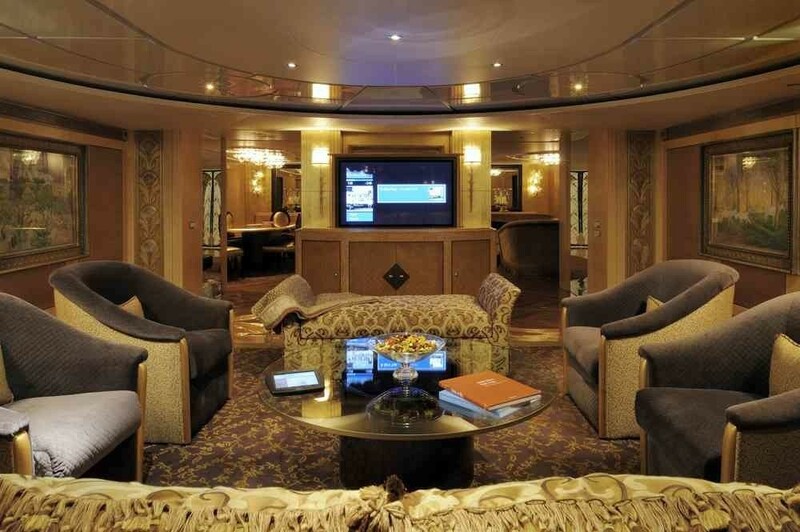 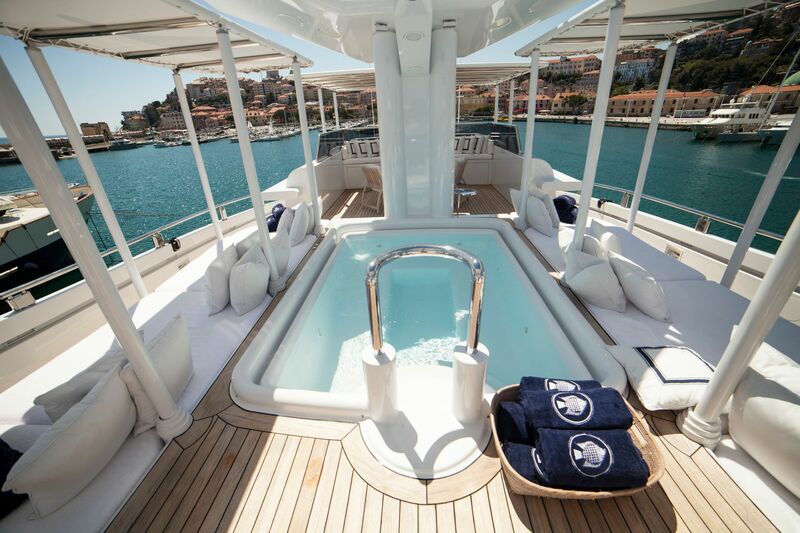 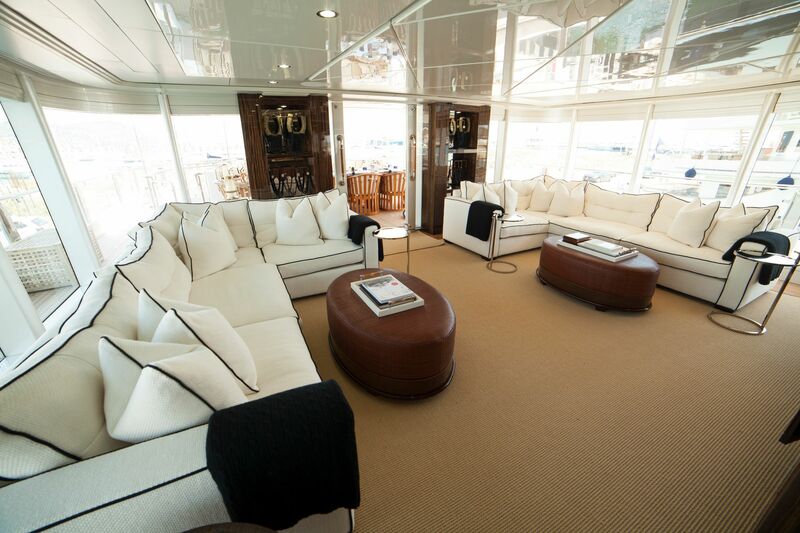 The interior of yacht Obsession is a reflection of the owners desires, wishes, and taste. 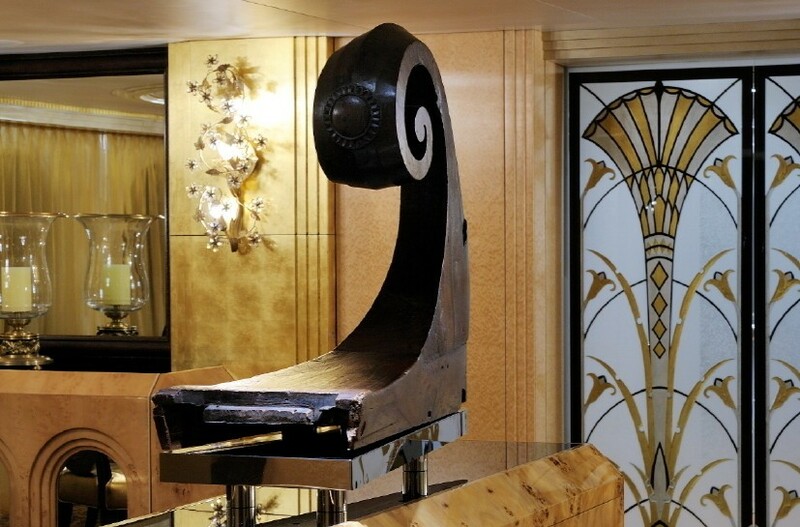 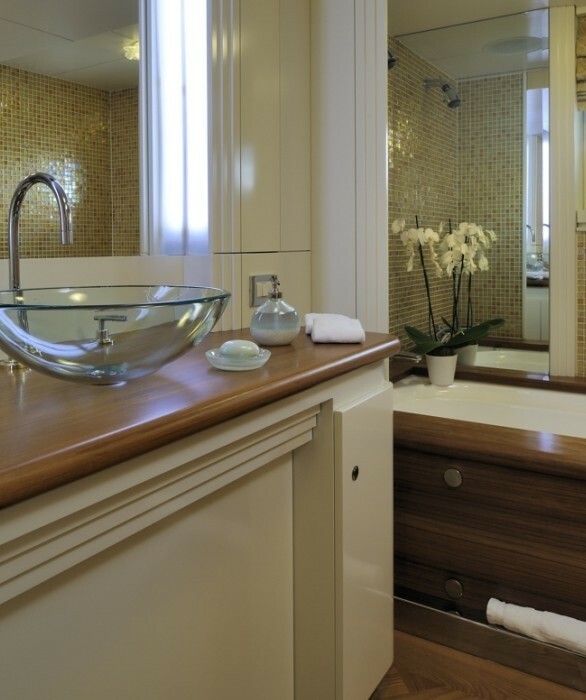 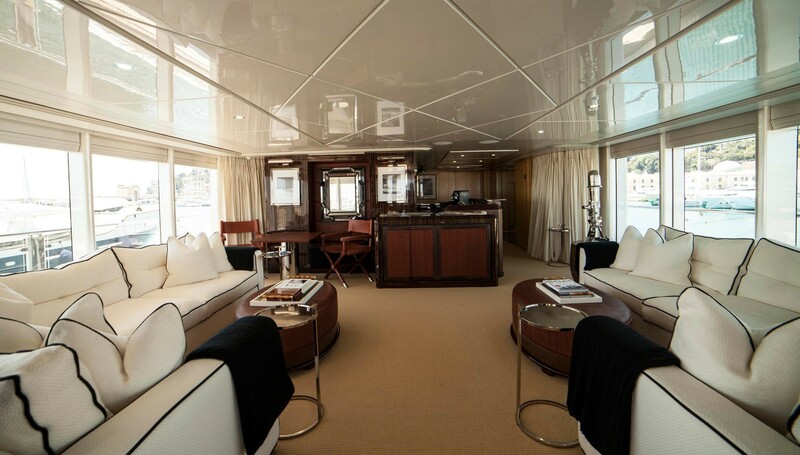 During the refit process the owners goal was to have a chic vessel with elements of Art Deco, but to also stay true to the original design by Bannenberg and the colours of choice were chocolate brown and gold. 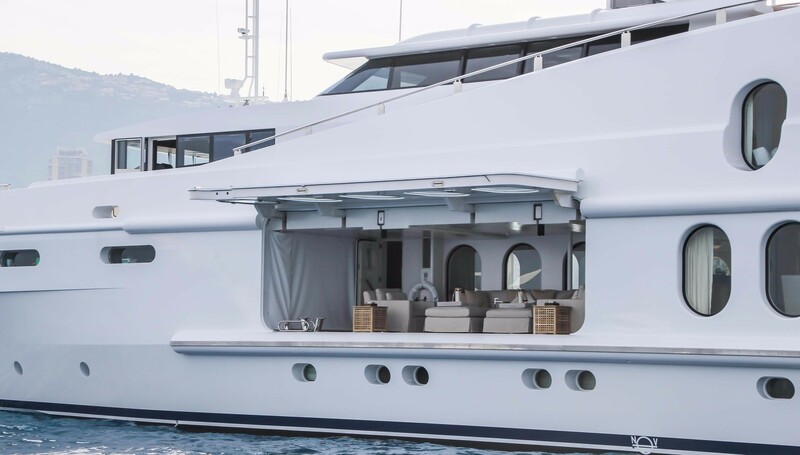 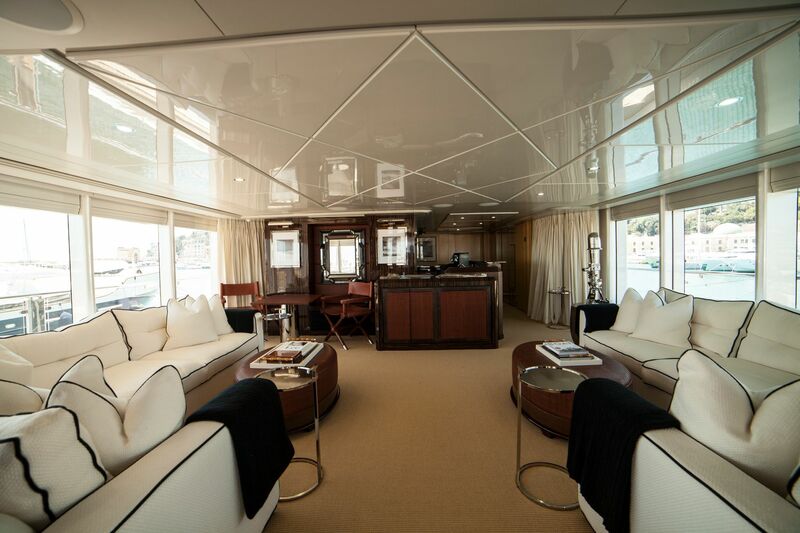 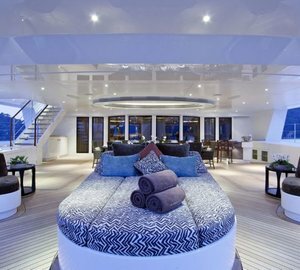 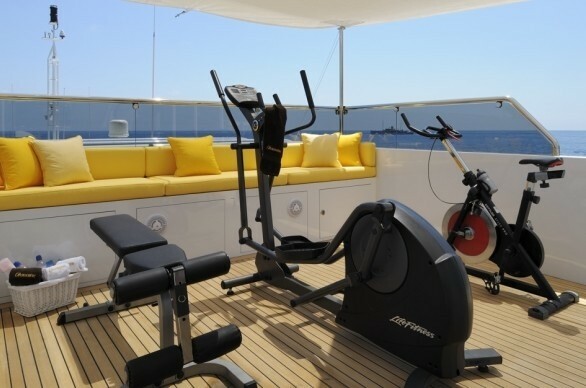 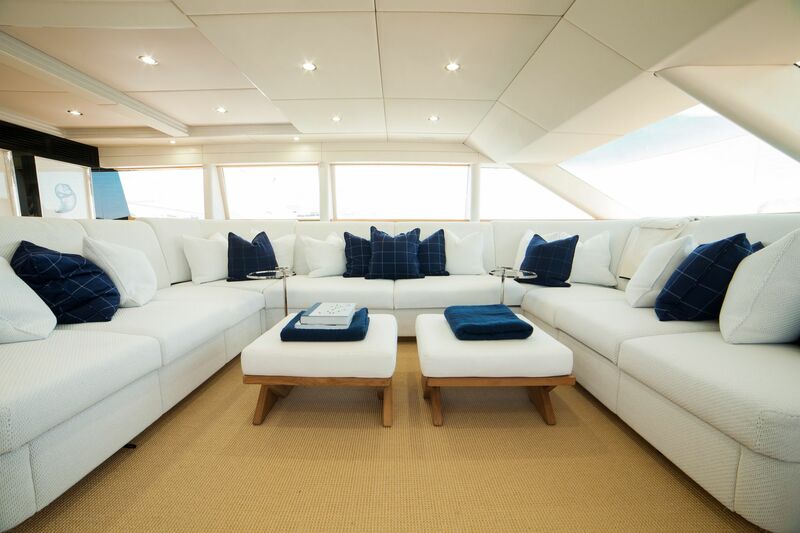 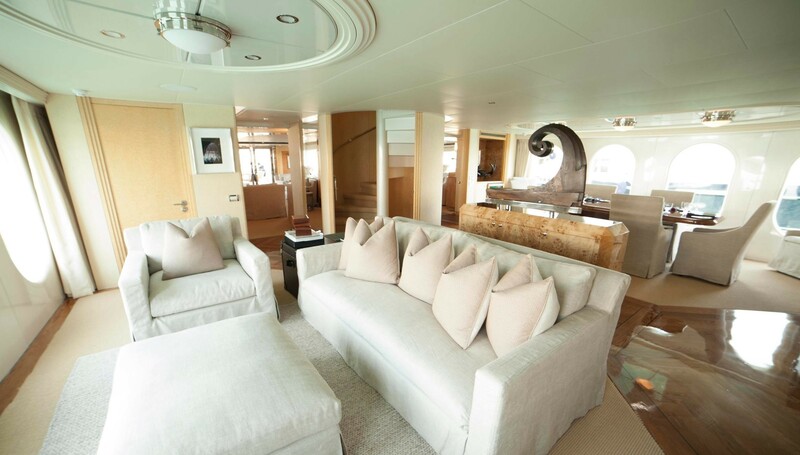 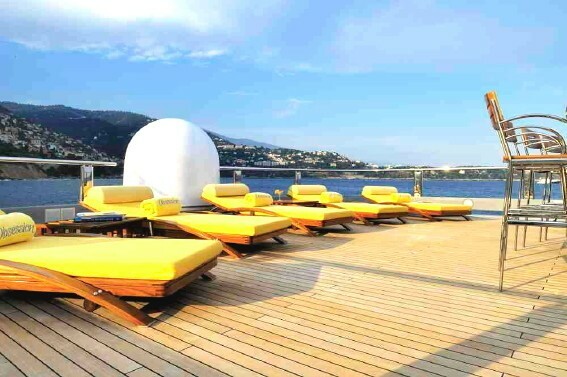 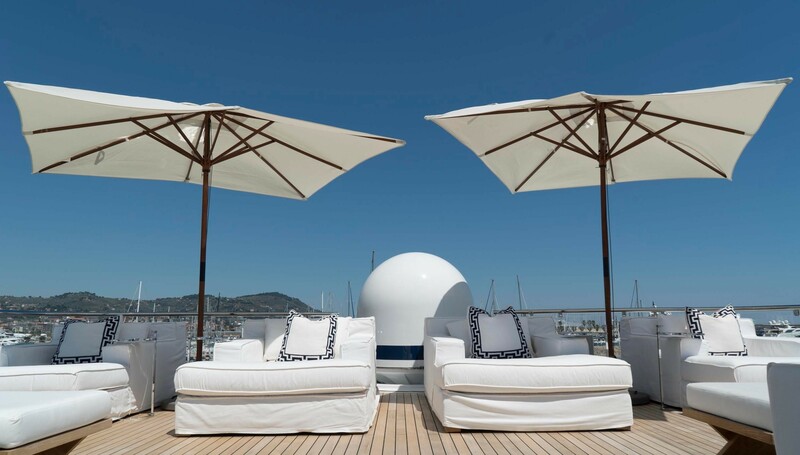 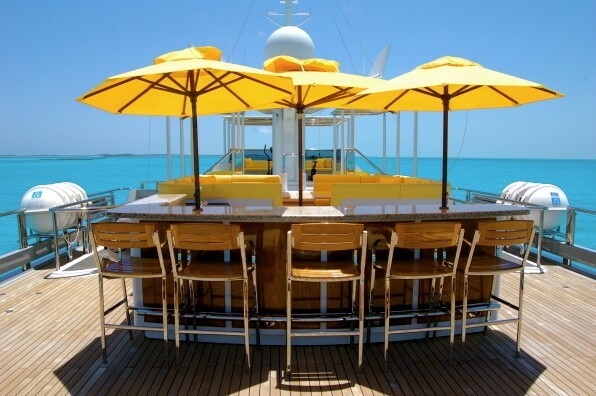 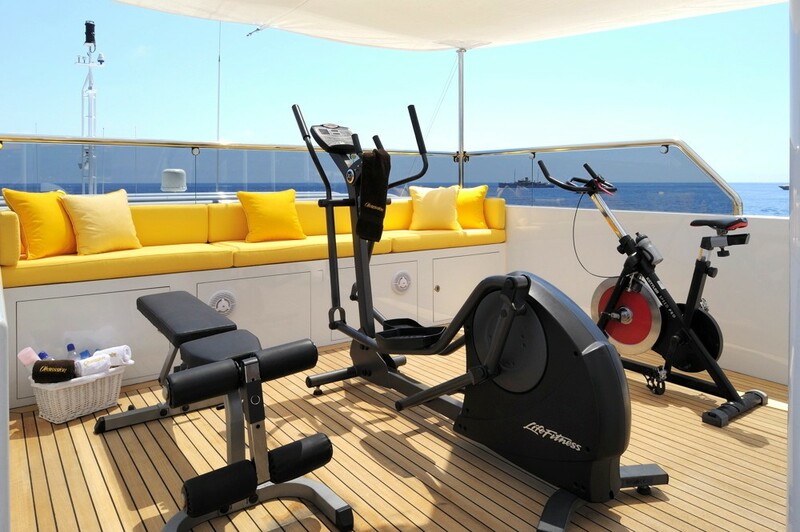 This aesthetic refit notably included the extension of the Owner's deck, including new seating arrangements, a new bar was installed on M/Y OCEANA's Sundeck where a Gym was as well added. 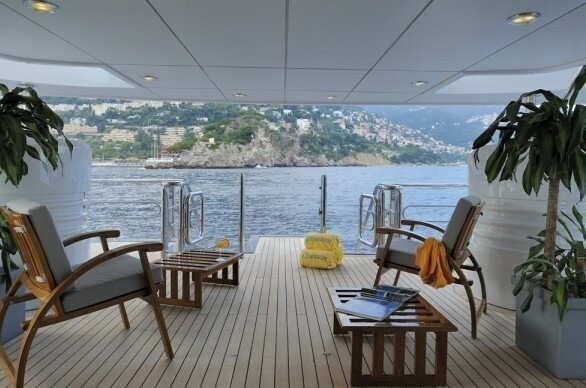 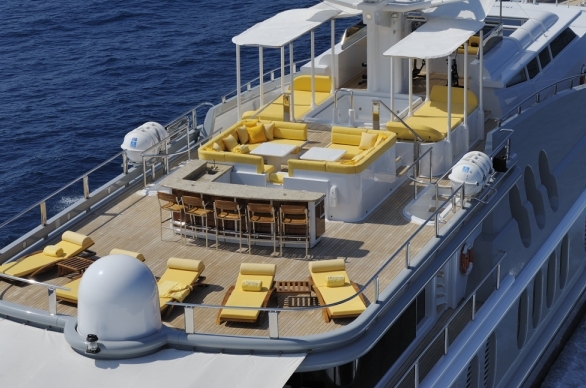 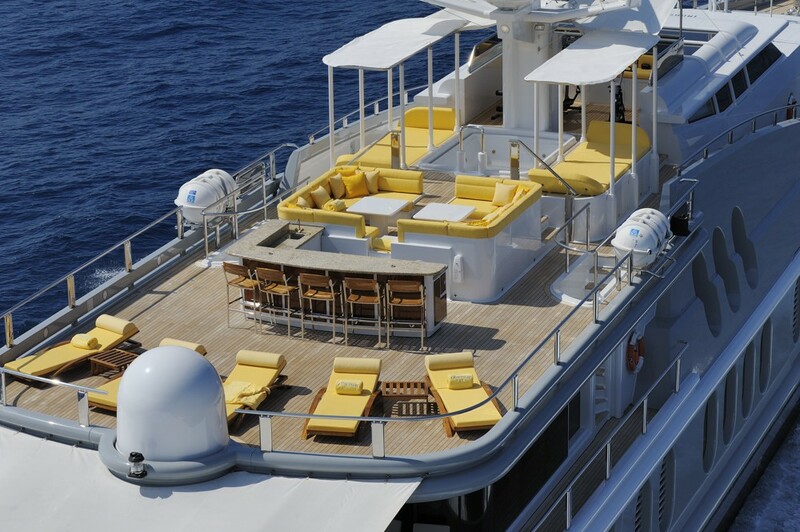 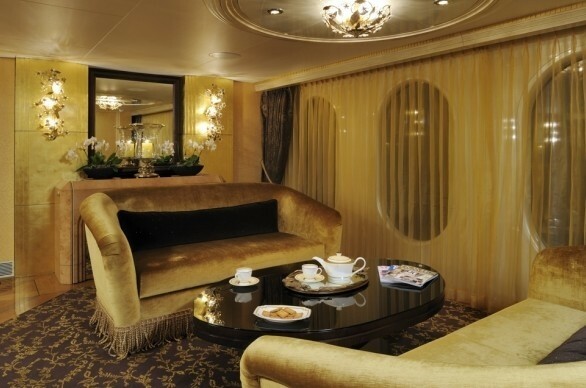 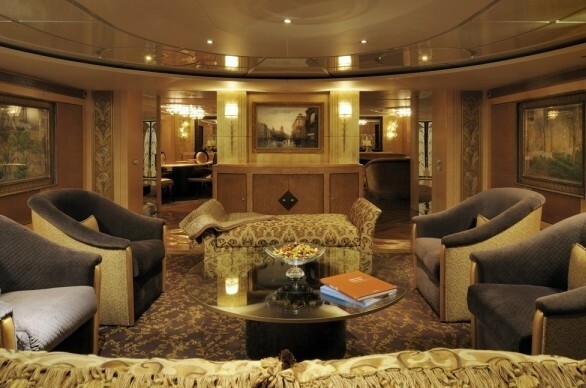 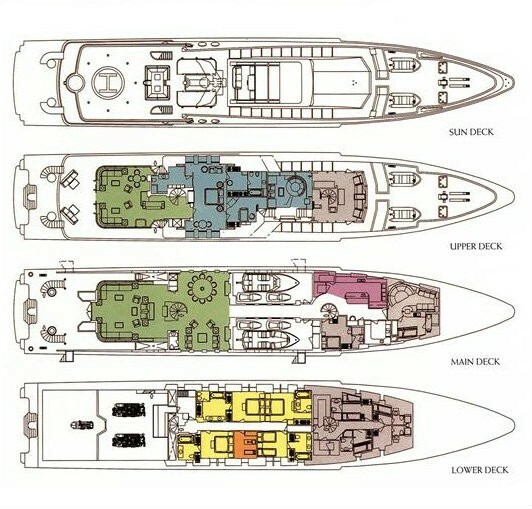 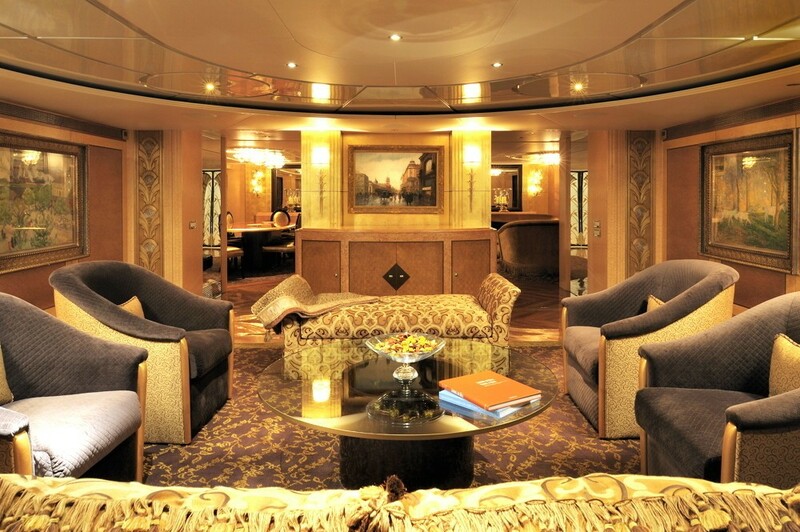 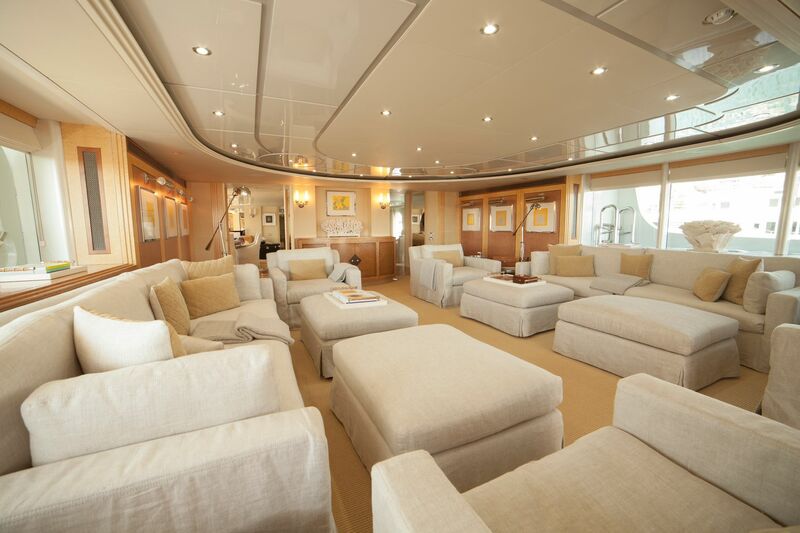 In addition there is also new seating areas on port and starboard side of the main deck's aft. 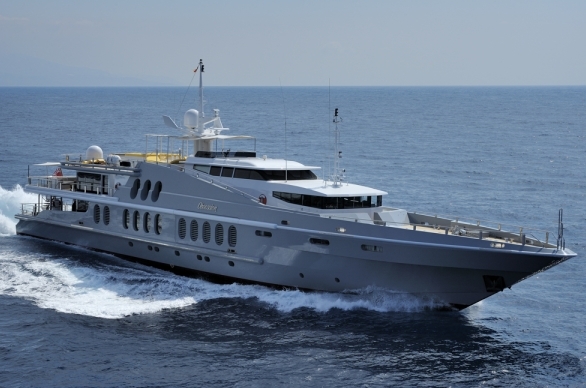 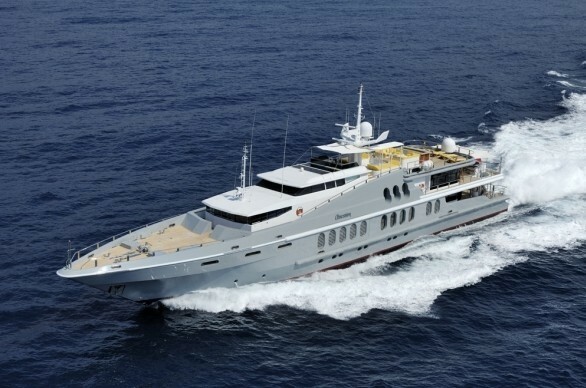 The yacht was fully repainted to a grey hull and white superstructure. 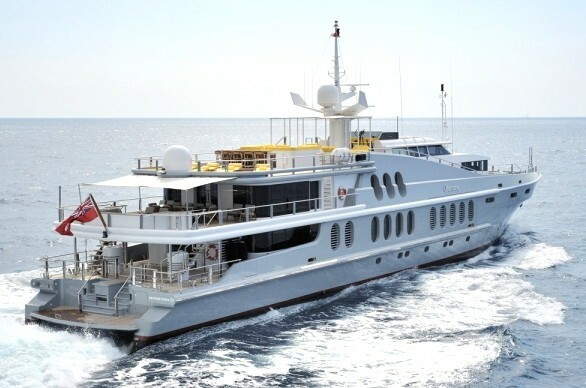 As for the technical side, the engine and water-jets were overhauled with engines hours turned back to zero, new Quantum Zero Speed stabilizers installed, complete overhaul of the Water makers, Air conditioning, Bow thrusters, Fuel filtration, Oil filtration, Sewage system and Generators. 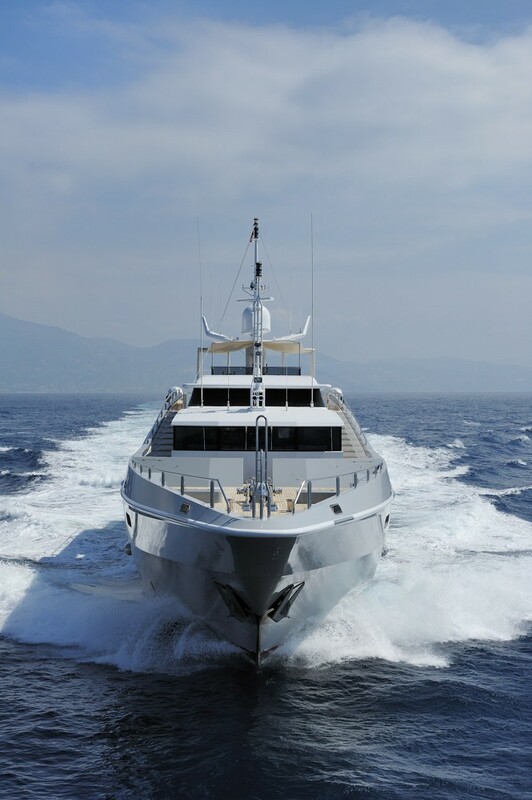 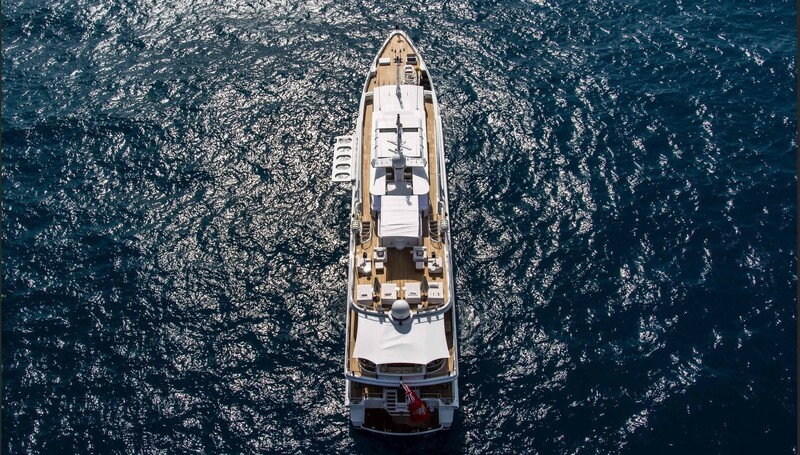 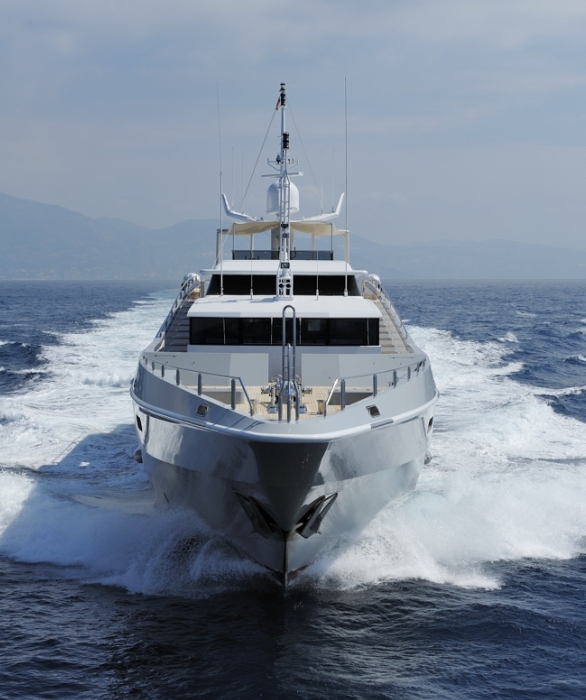 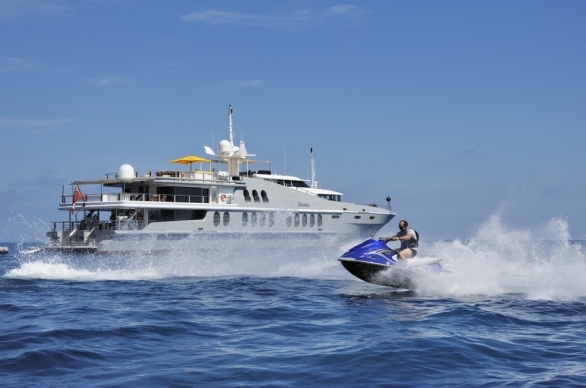 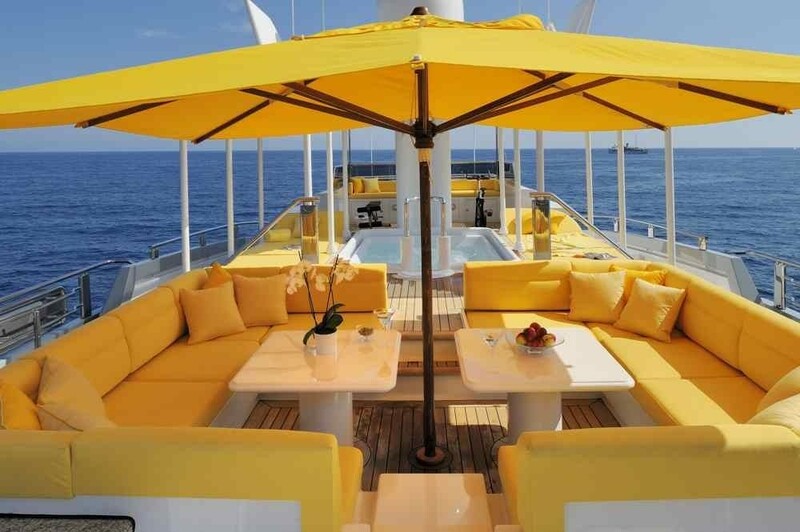 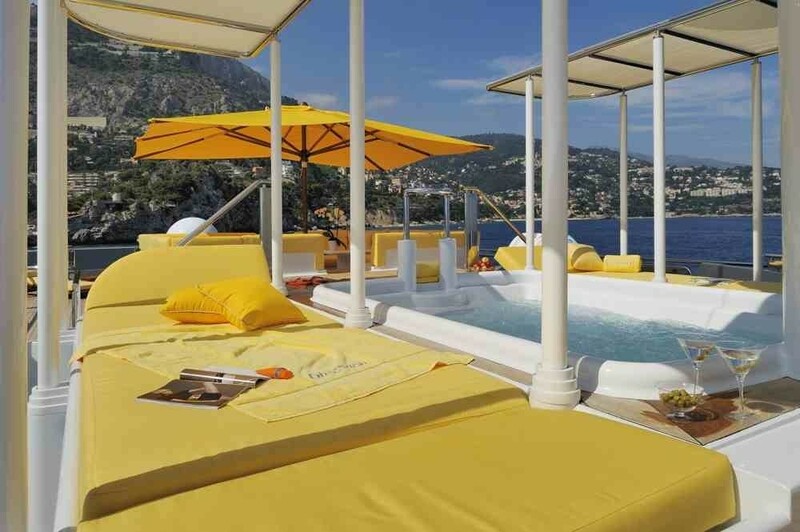 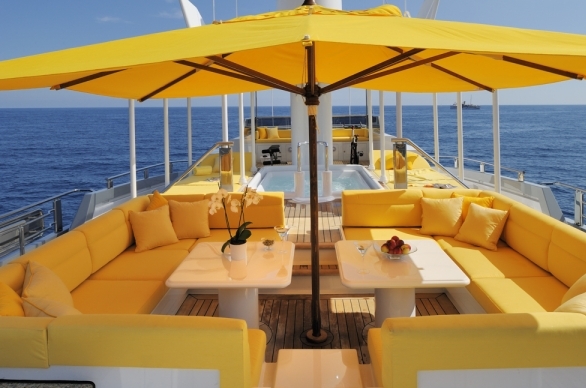 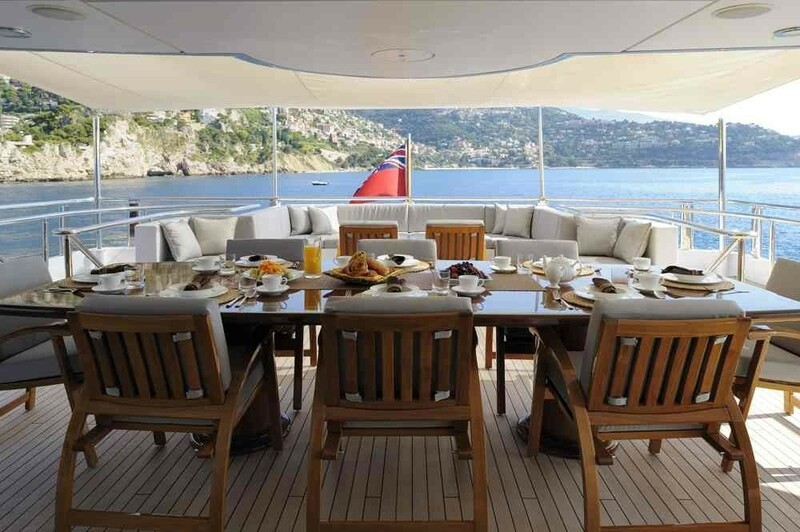 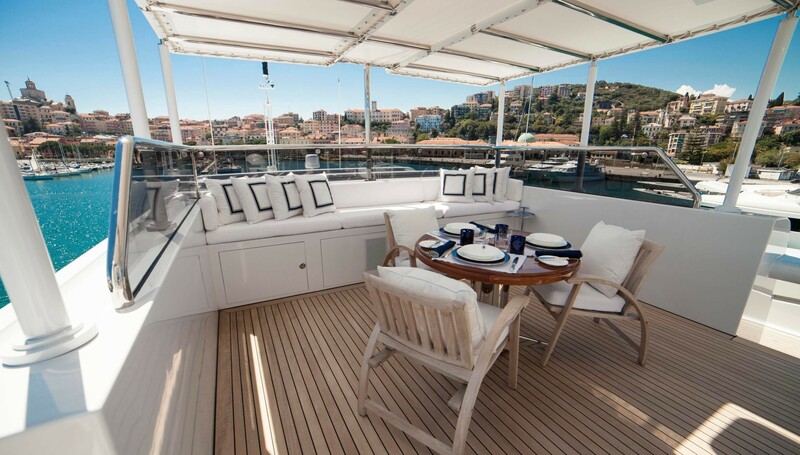 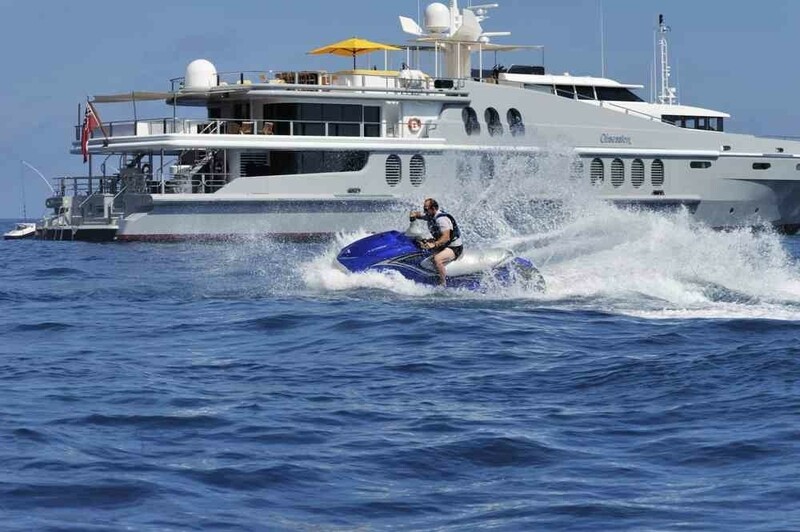 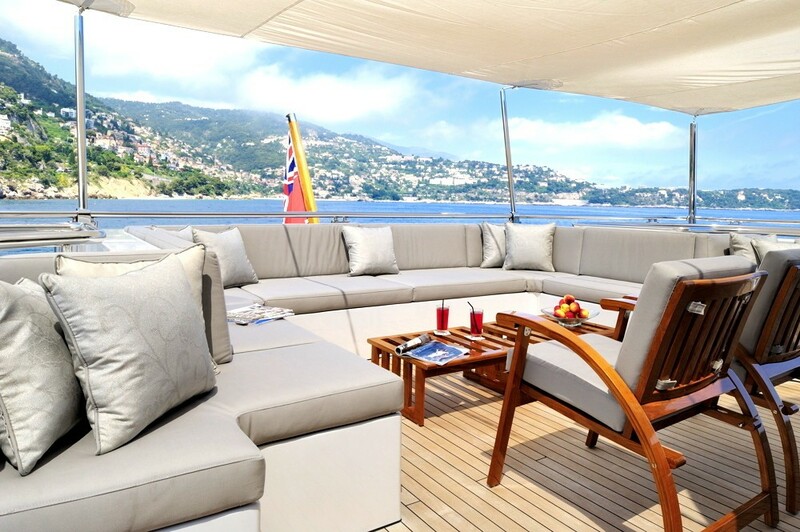 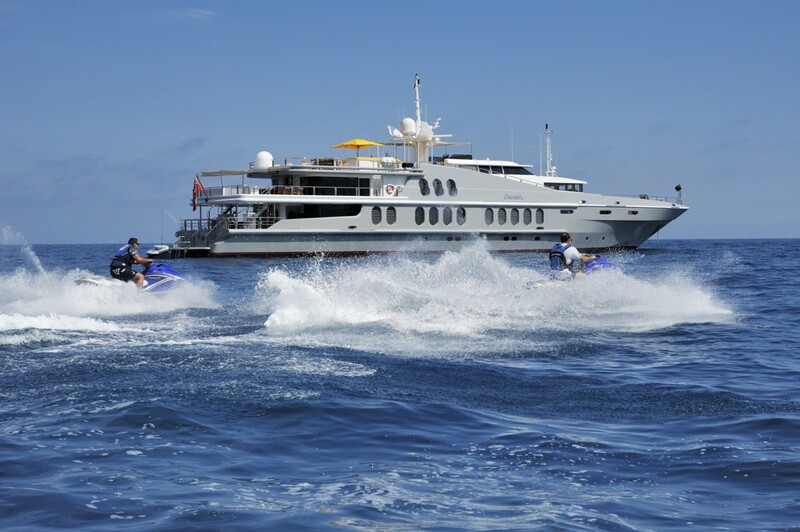 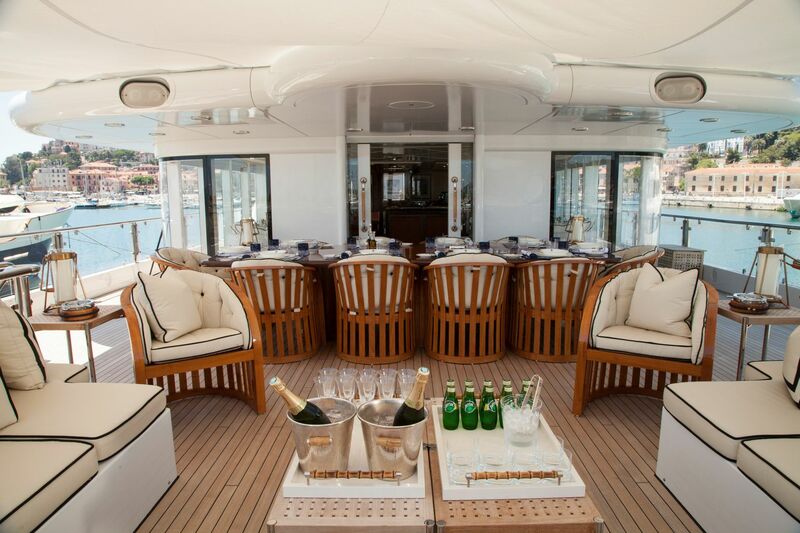 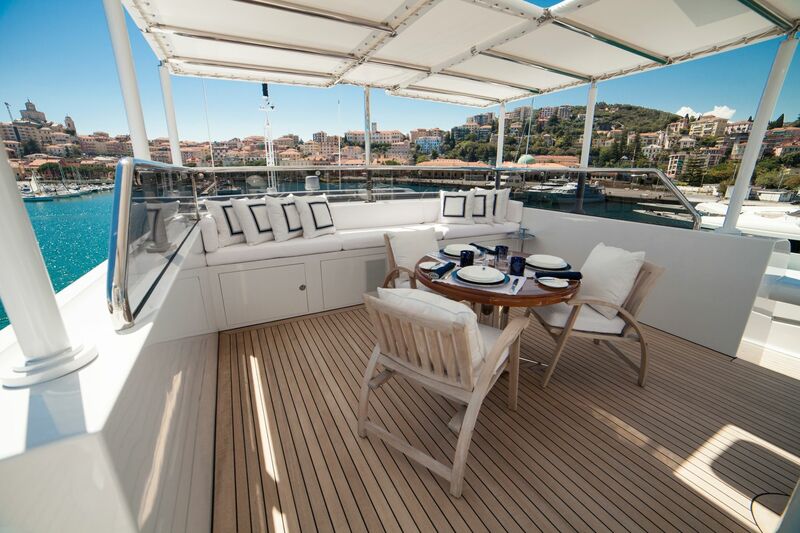 A good selection of water toys and outdoor entertainment and fun areas completes the yacht charter package.